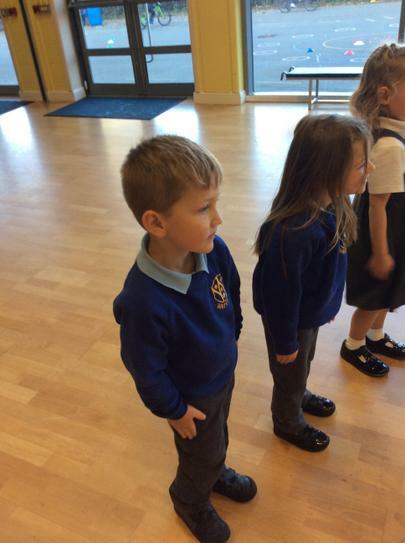 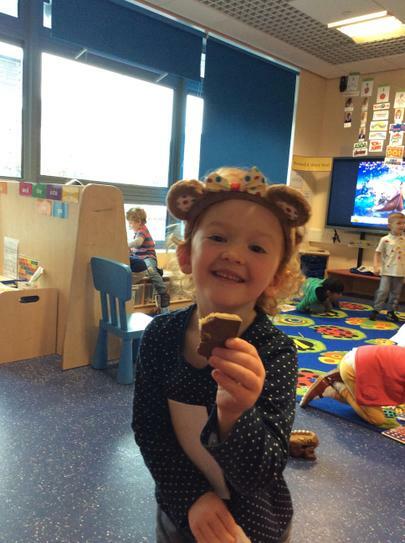 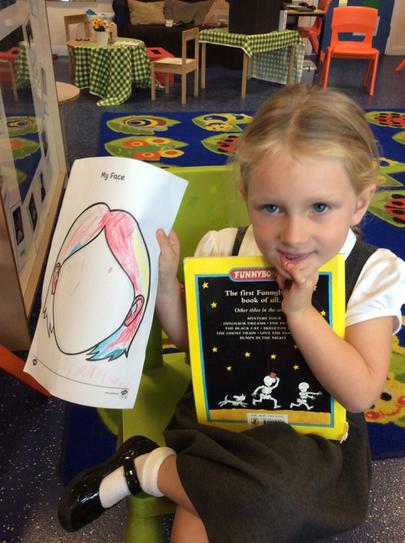 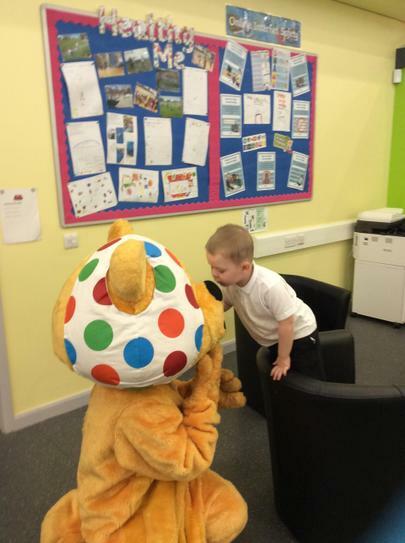 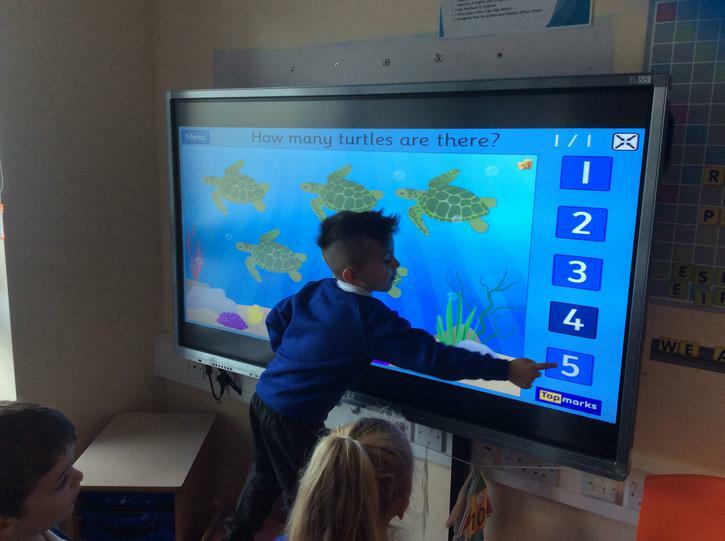 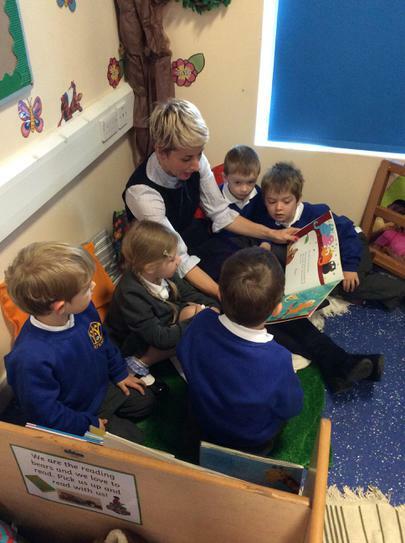 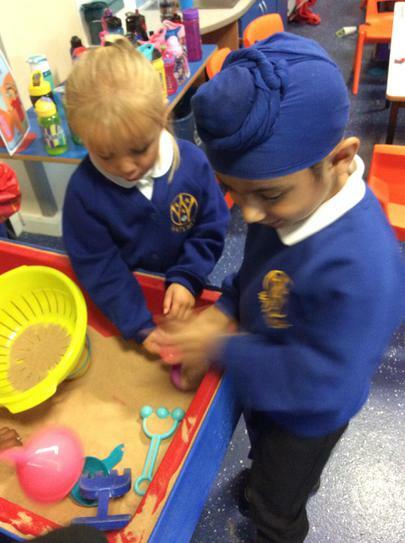 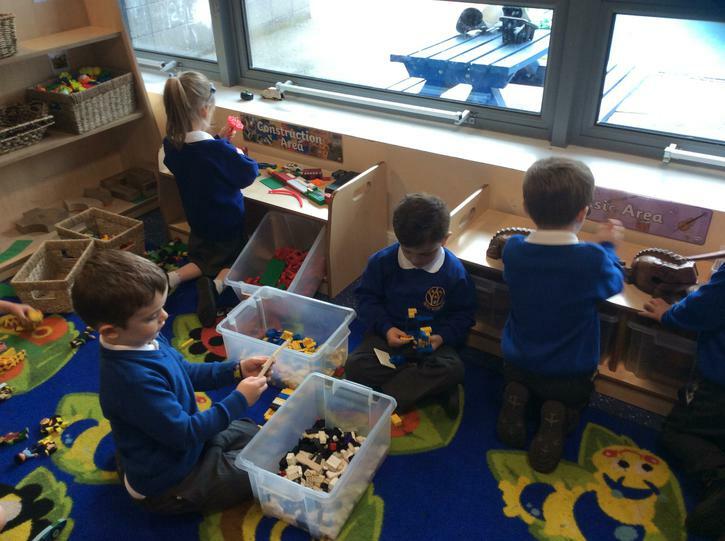 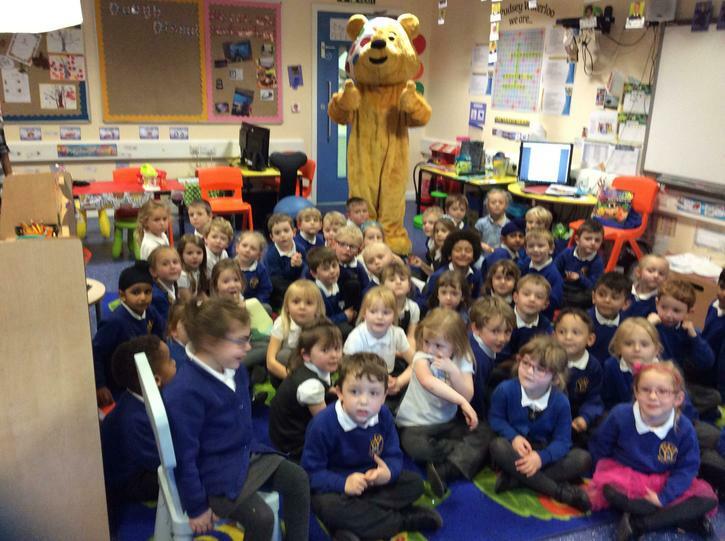 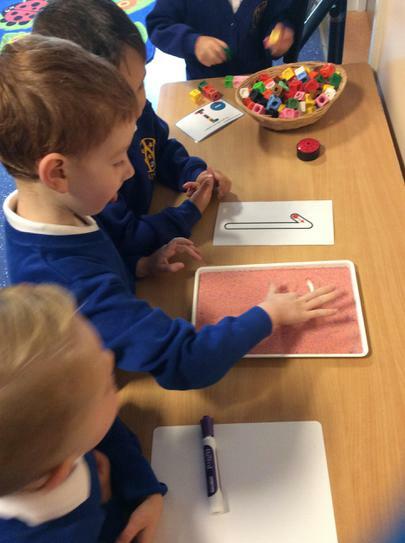 We had a very special visitor come and see us in Reception... 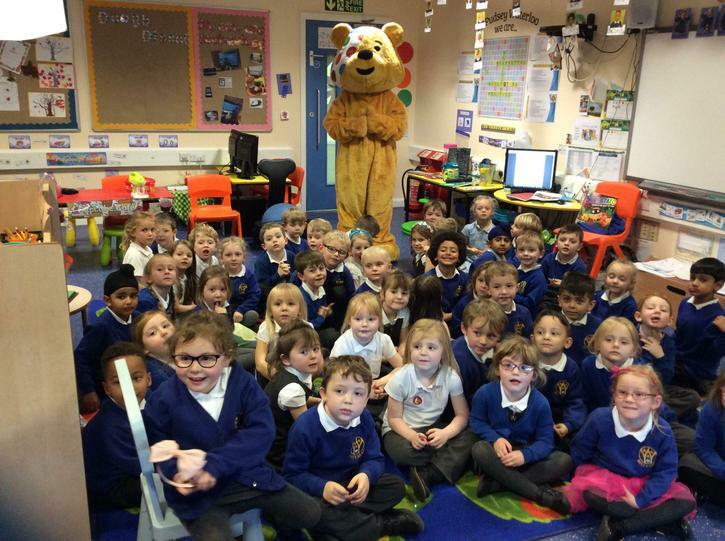 The one and only Pudsey Bear. 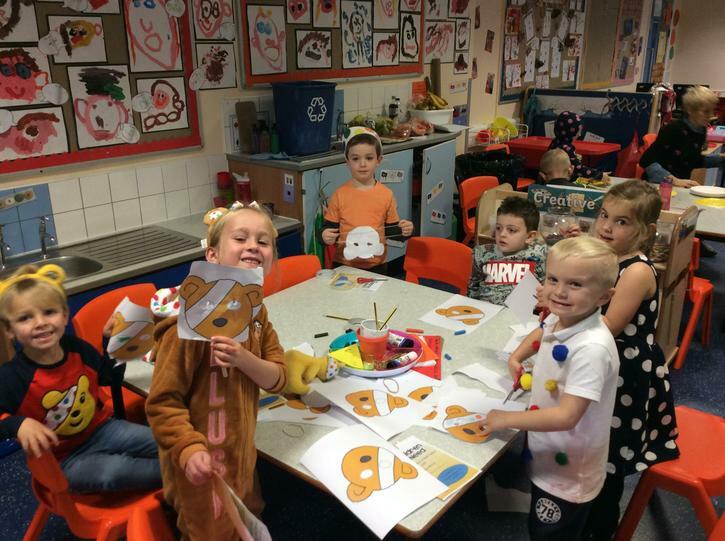 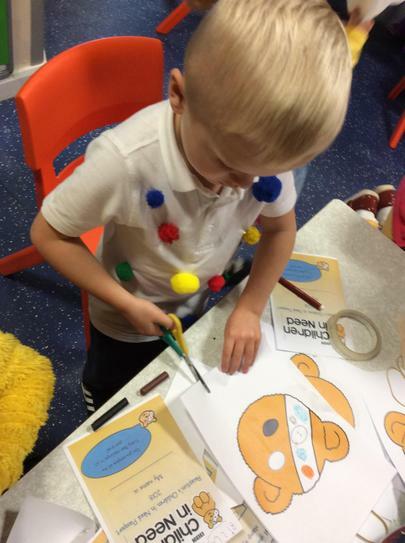 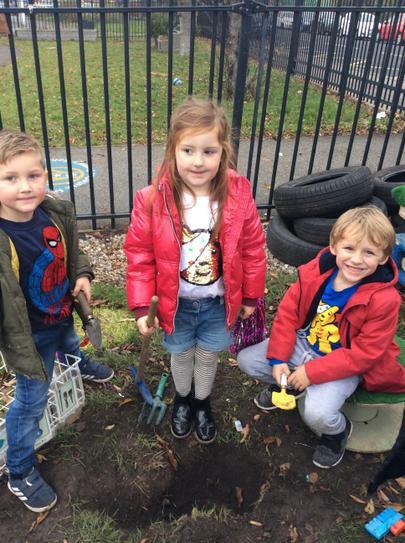 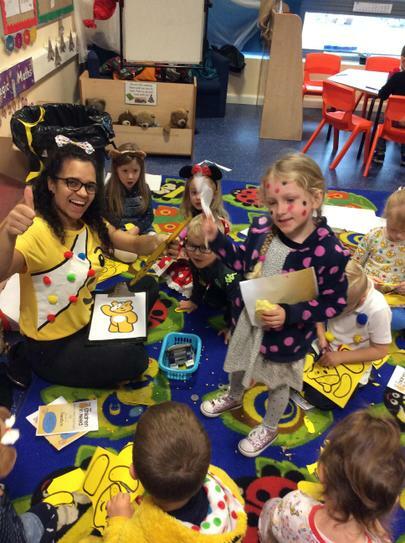 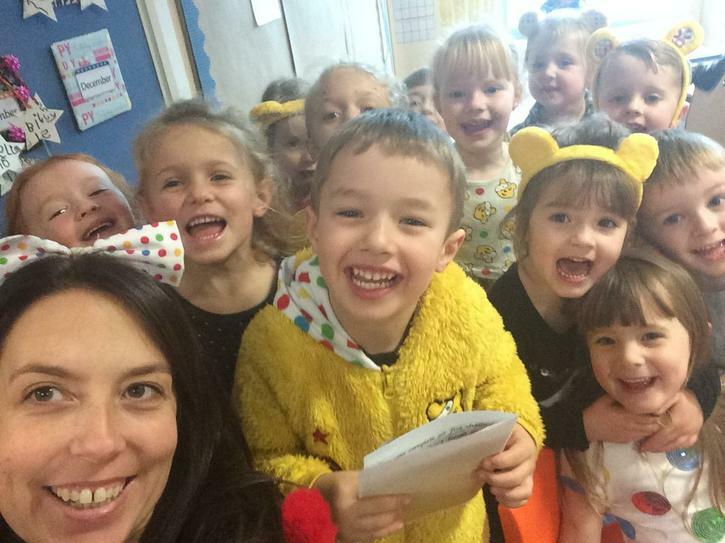 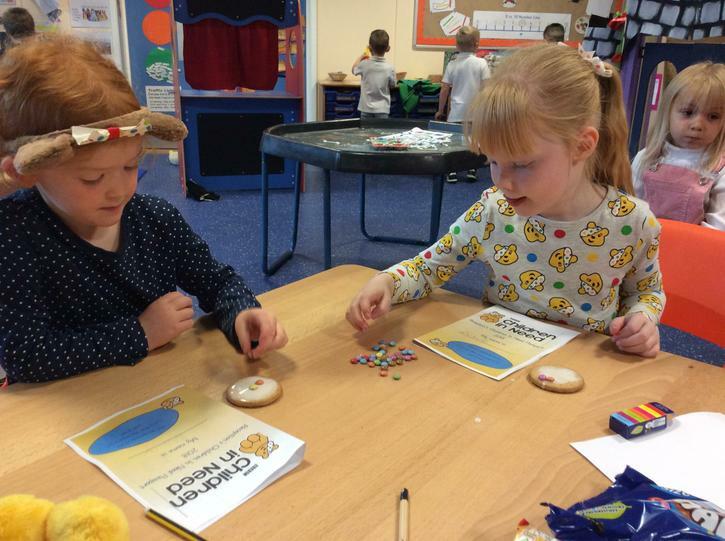 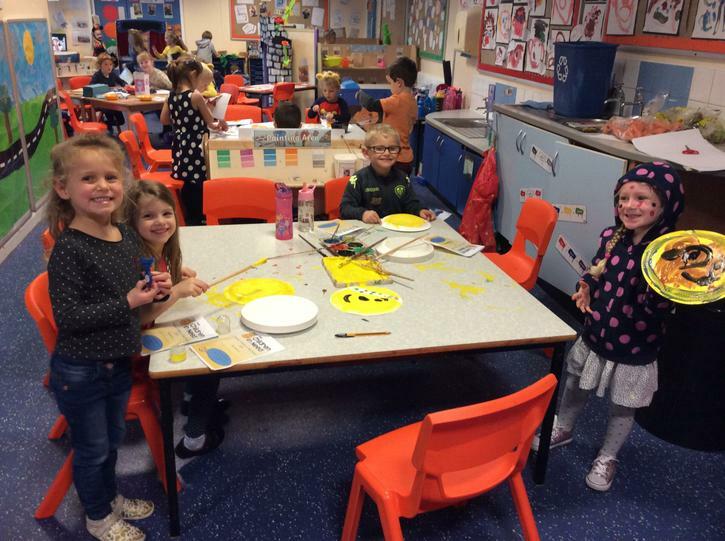 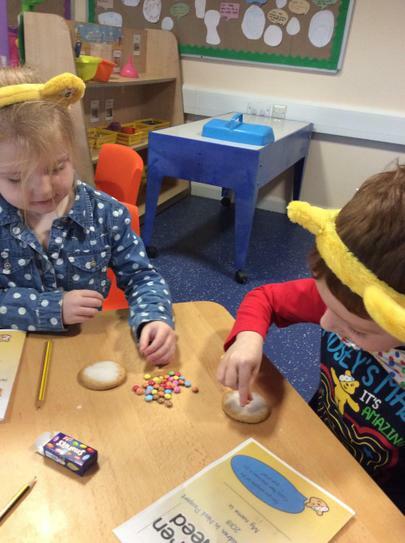 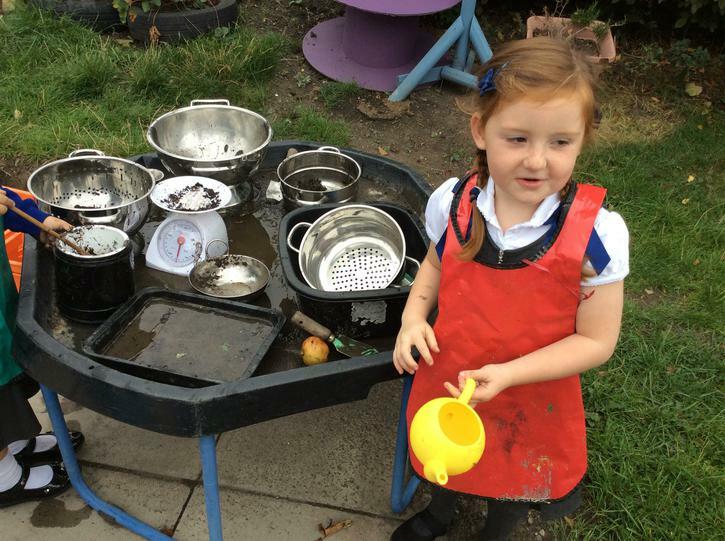 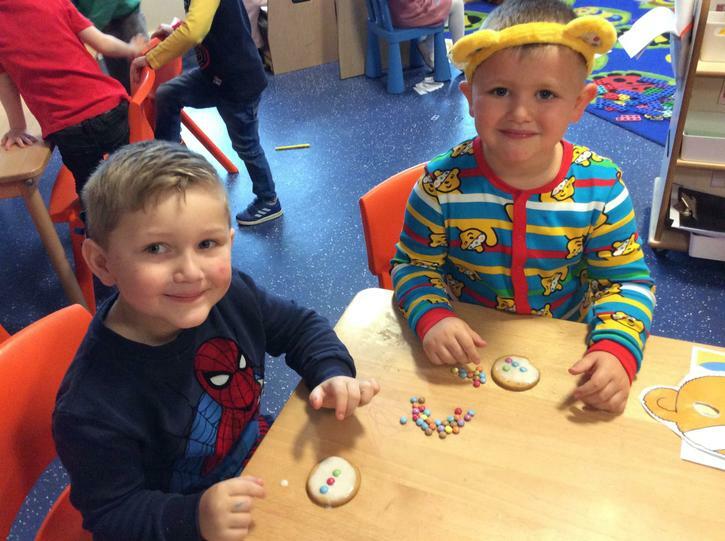 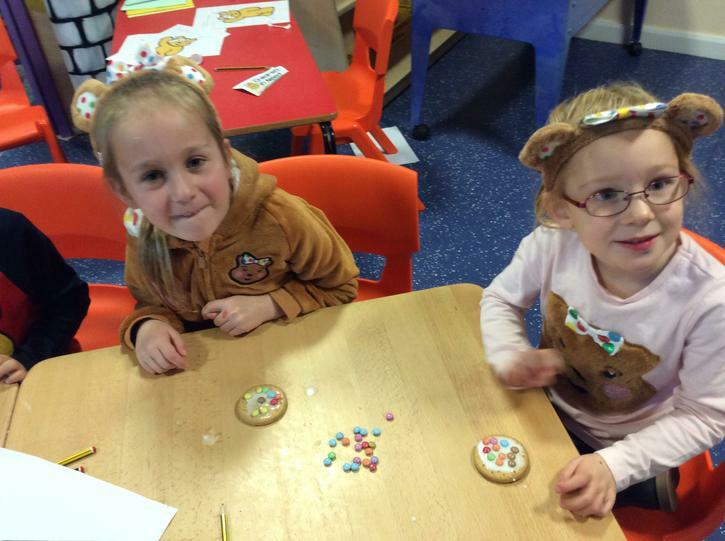 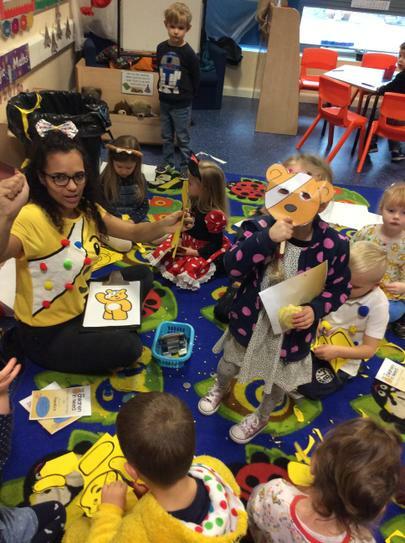 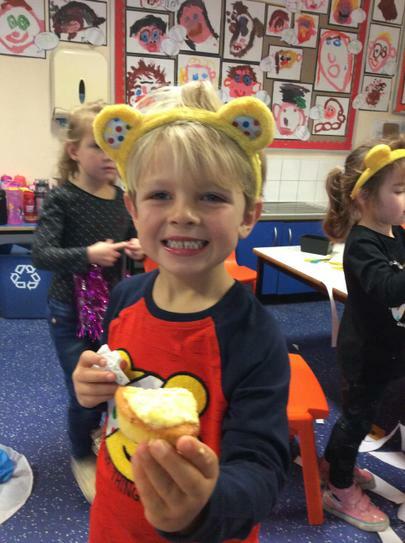 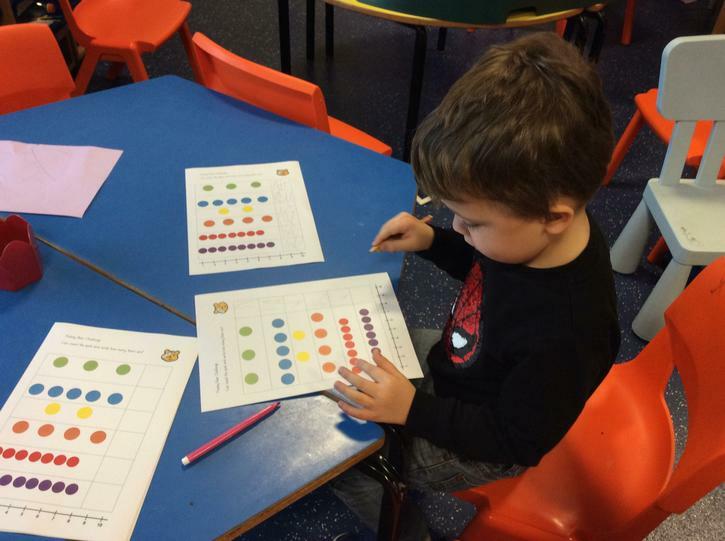 We celebrated this day with lots of fun activities, donating money to dress up in spotty clothing and buy cakes from the bun sale. 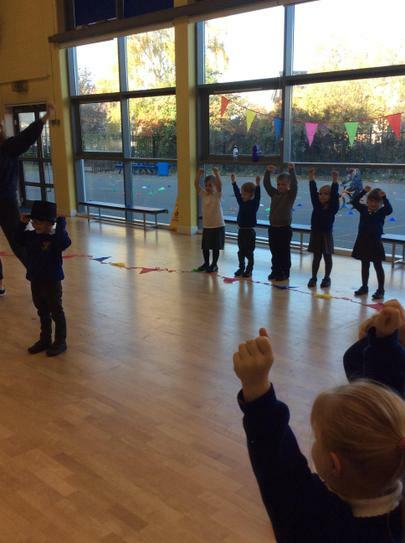 We also saved our 2p's. 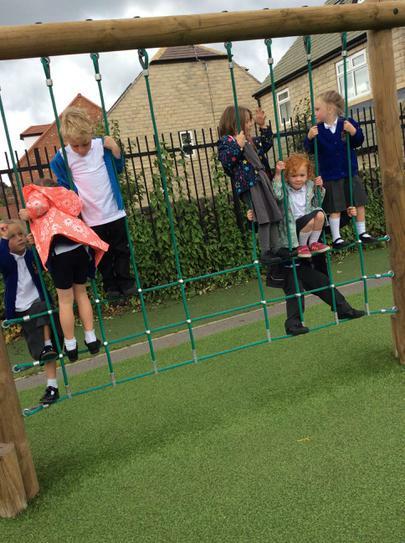 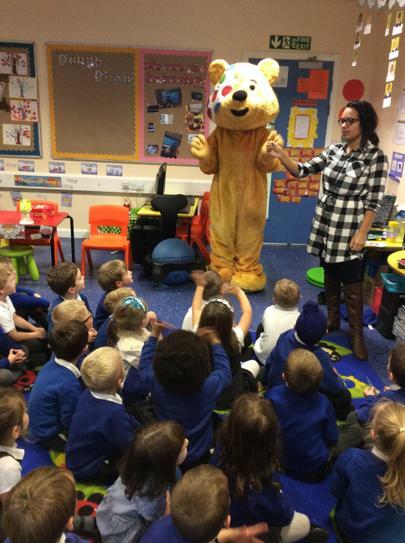 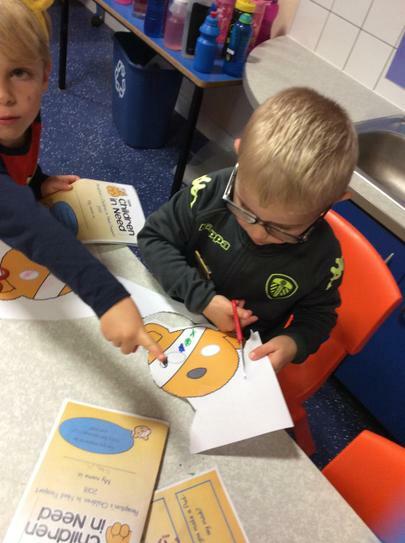 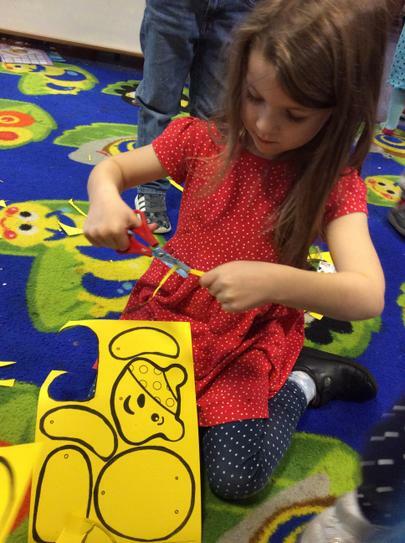 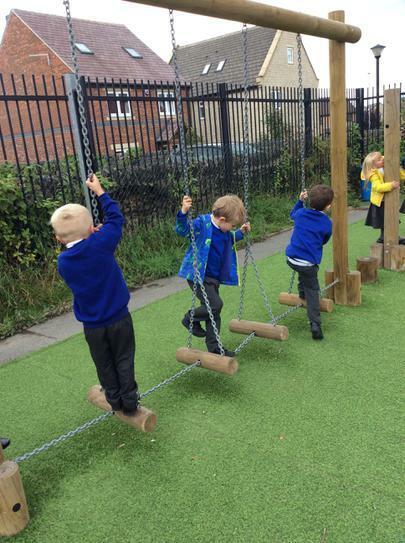 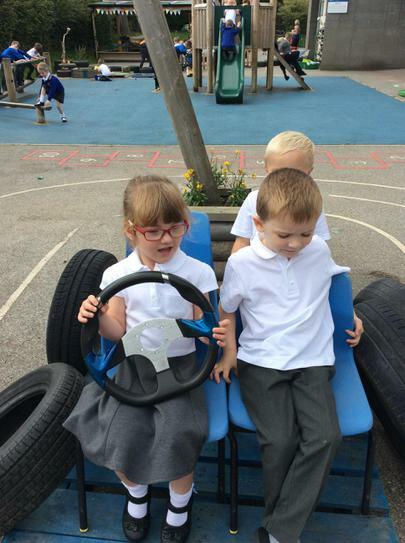 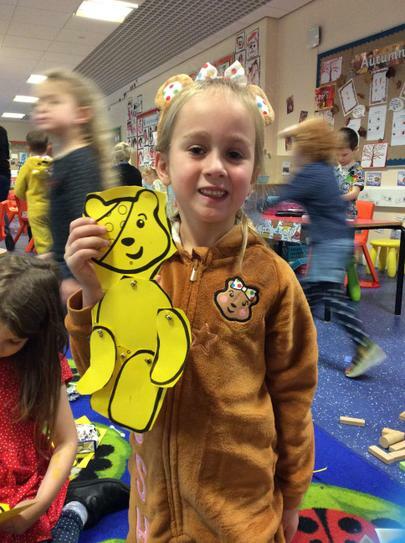 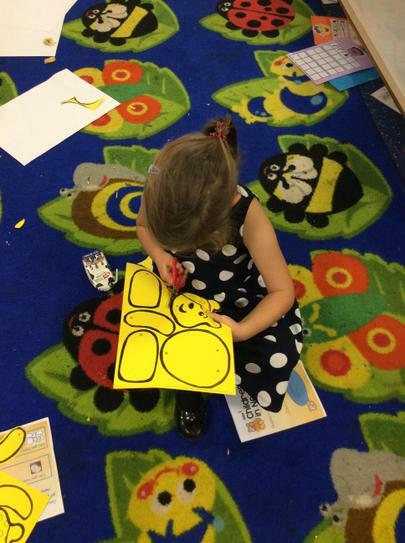 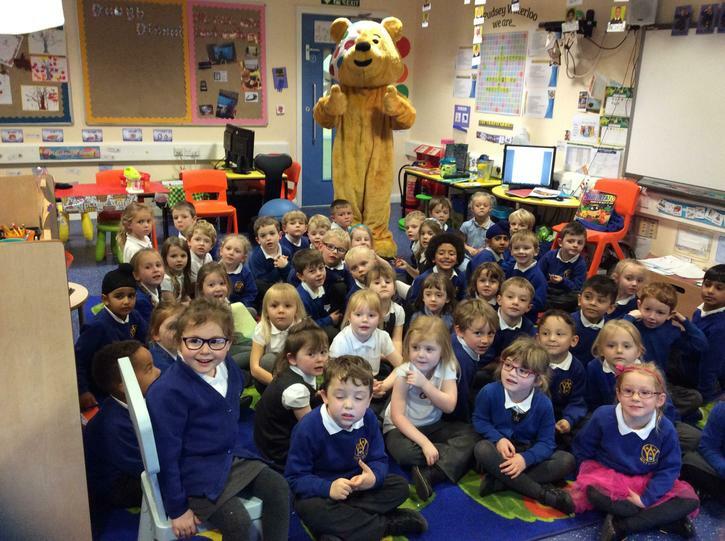 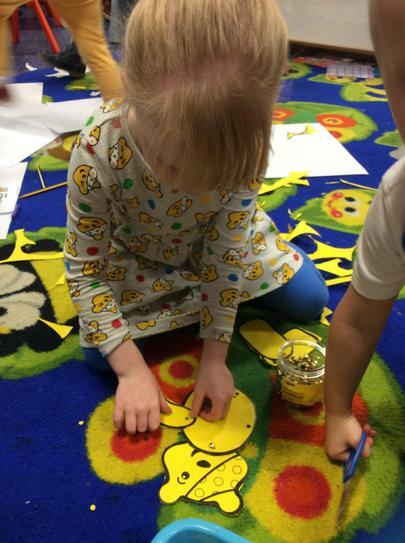 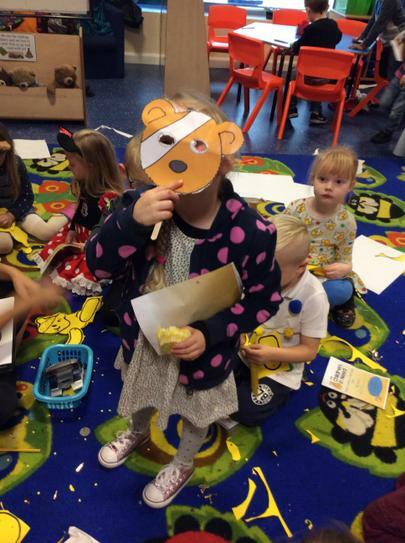 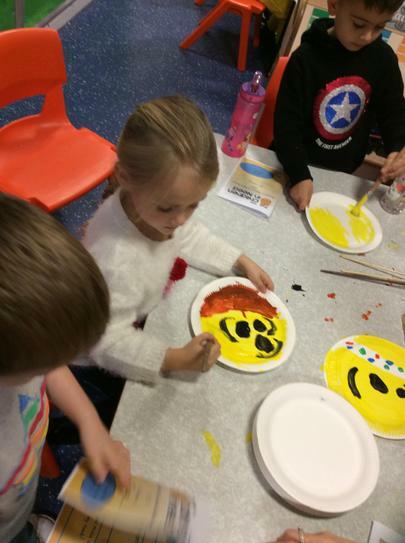 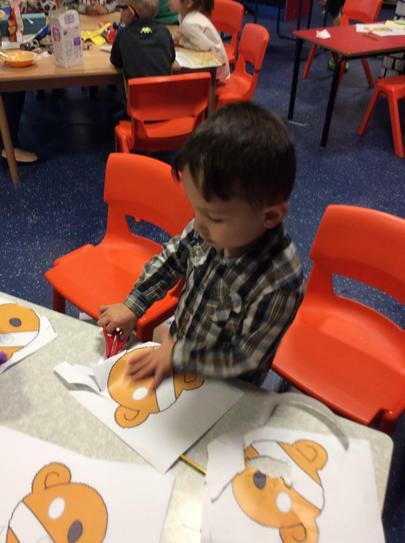 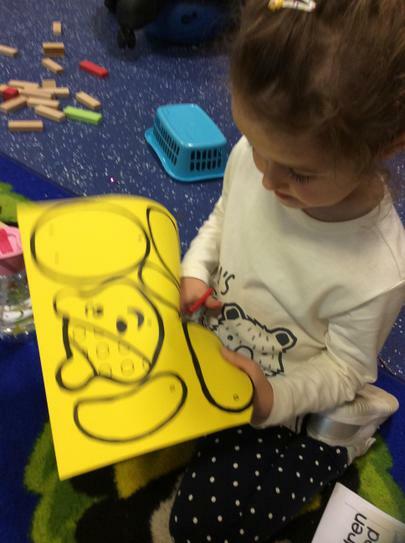 These were taking to Pudsey Leisure Centre, by our school council where a huge Pudsey bear was created. 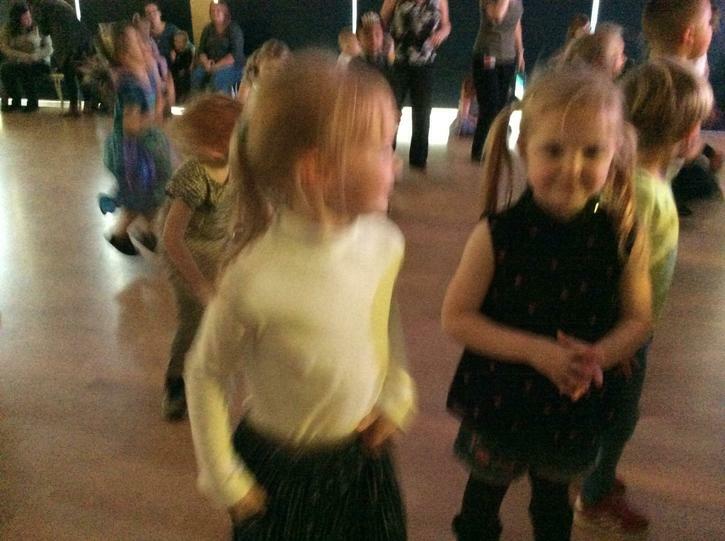 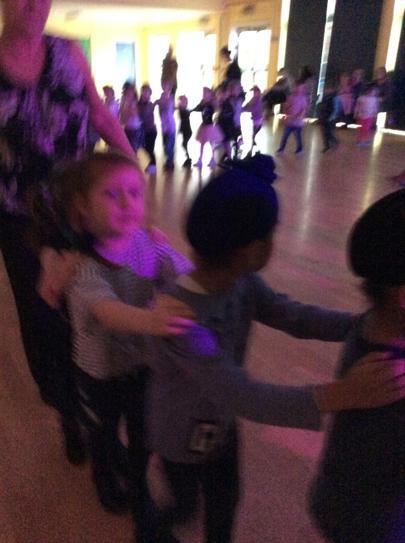 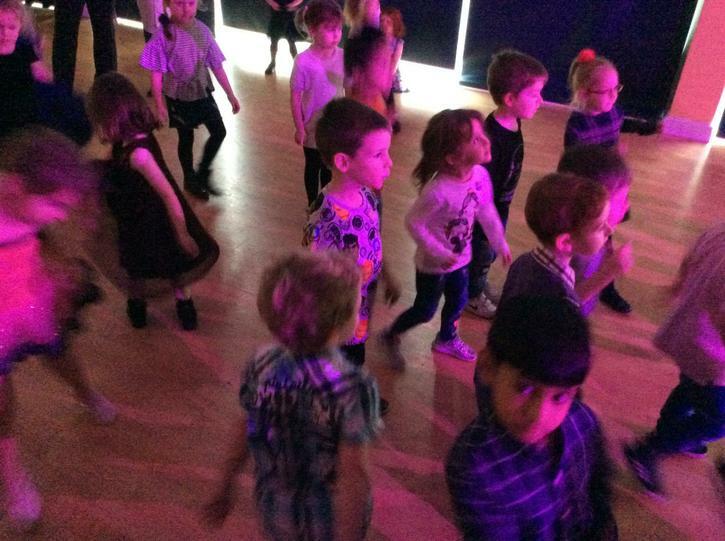 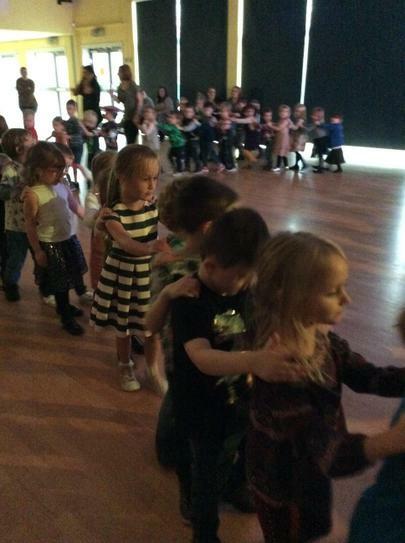 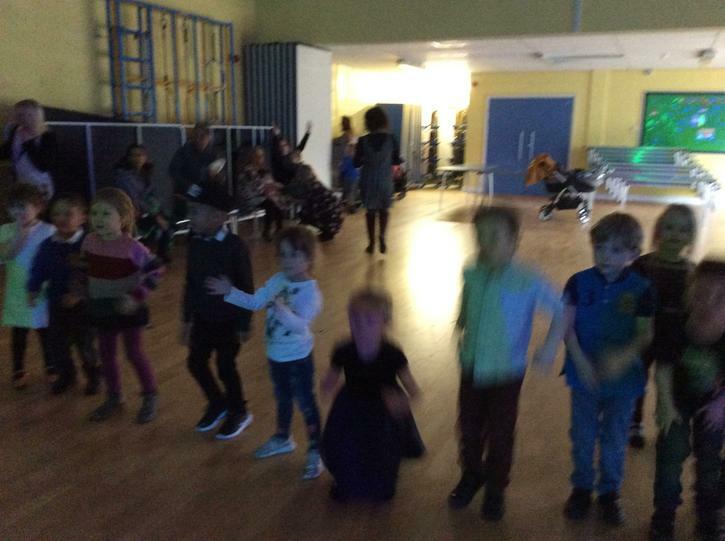 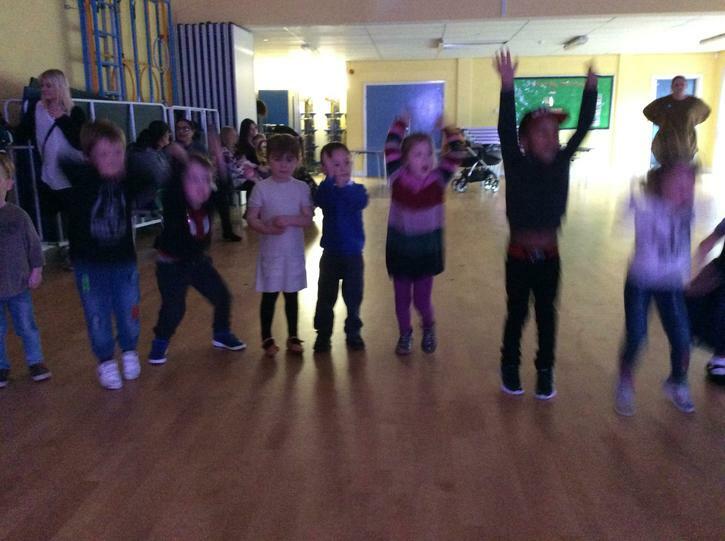 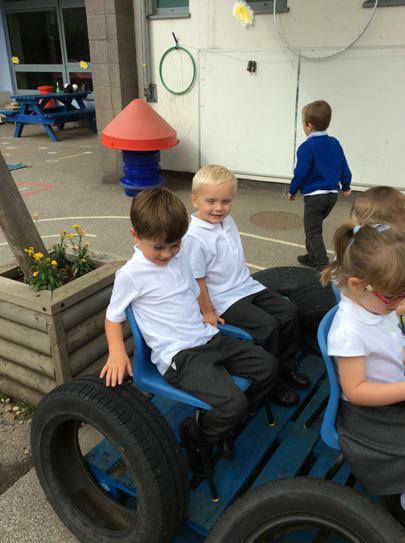 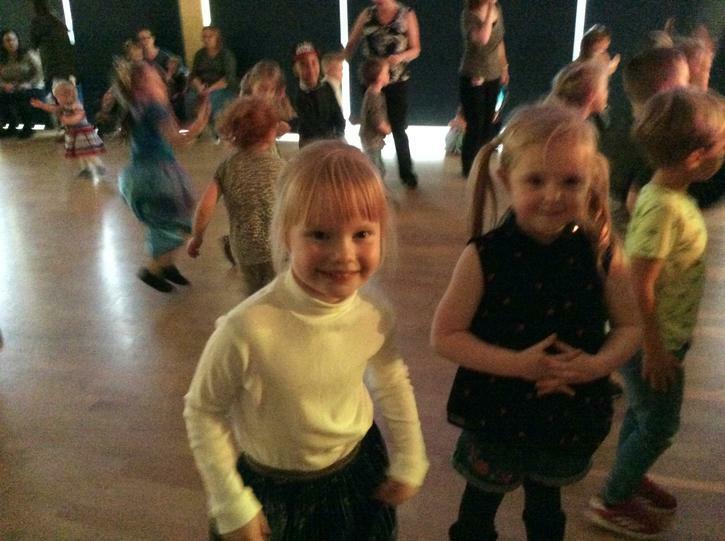 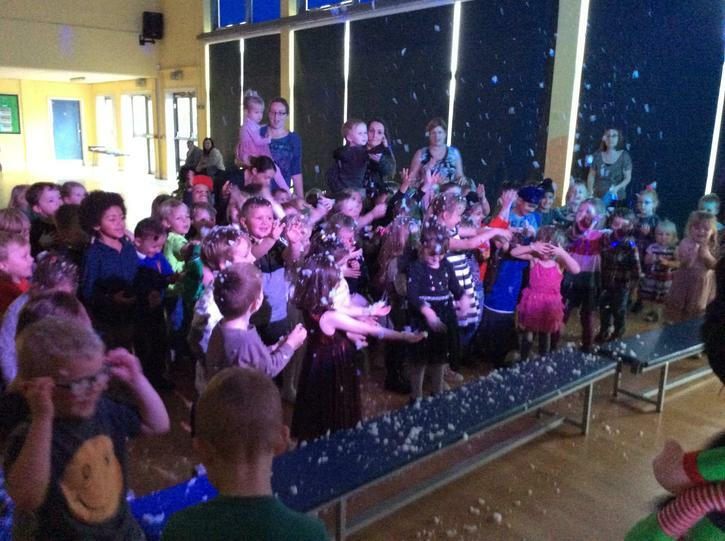 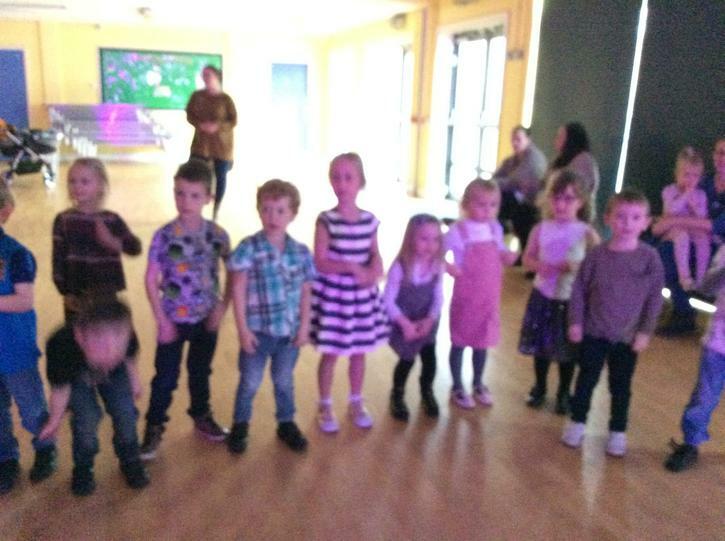 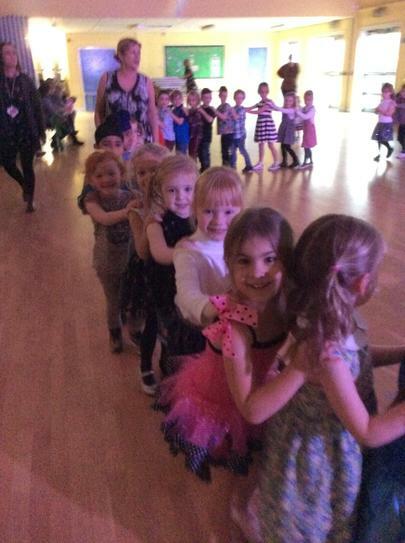 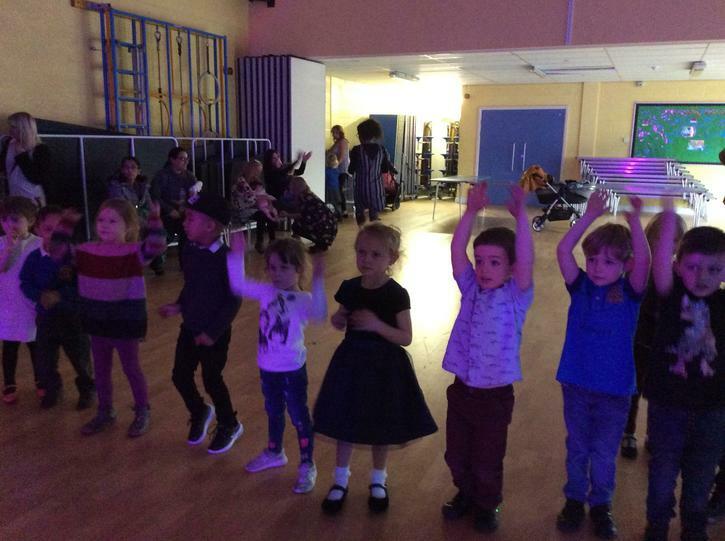 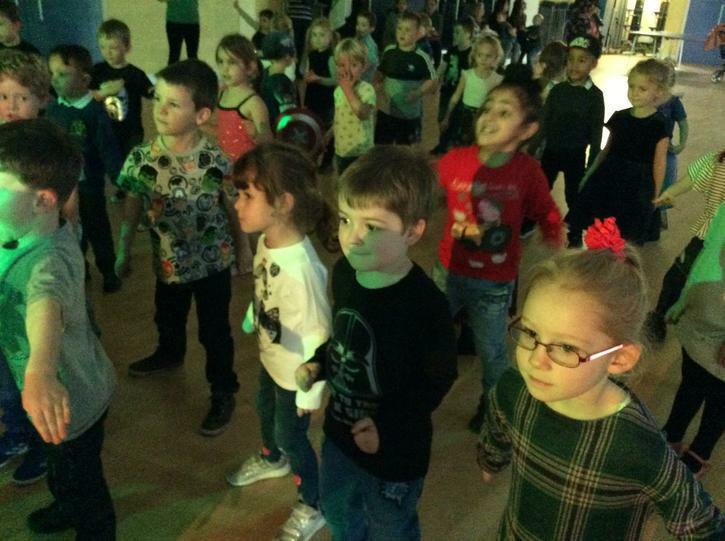 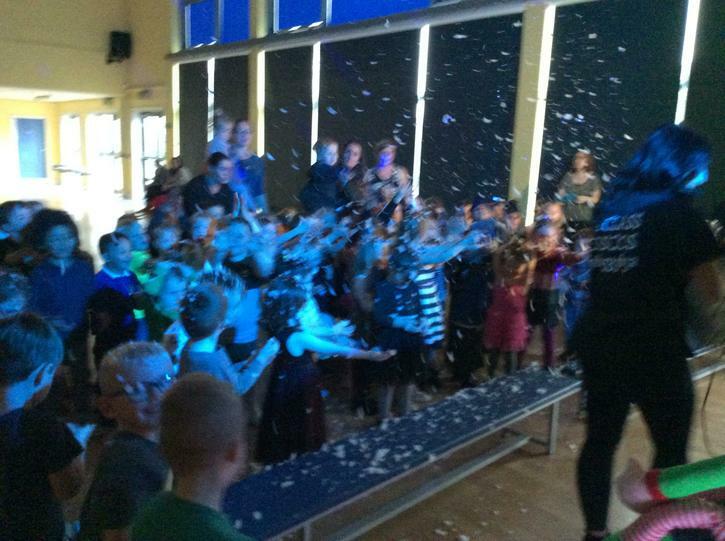 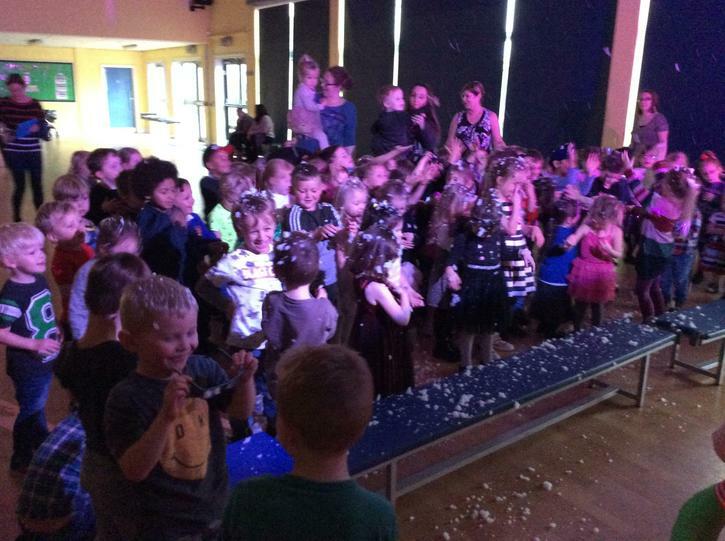 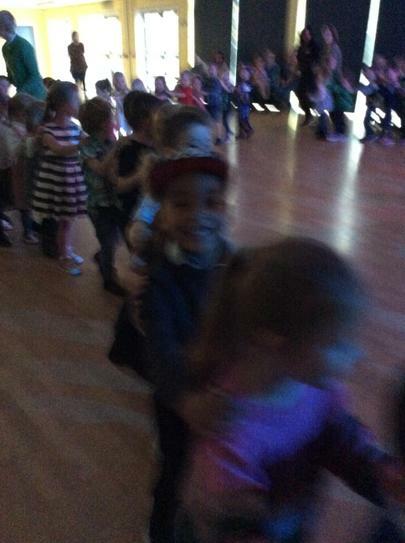 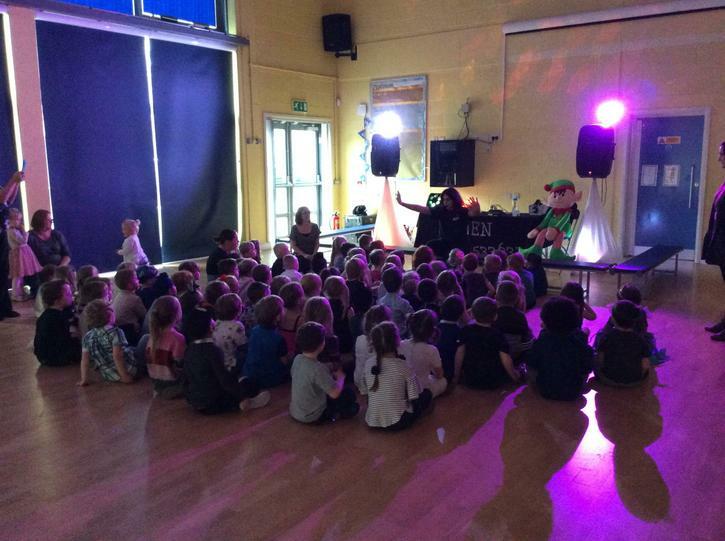 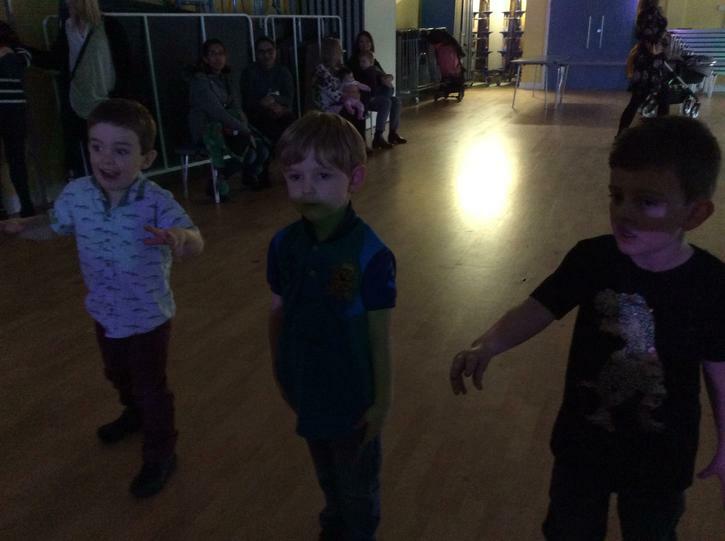 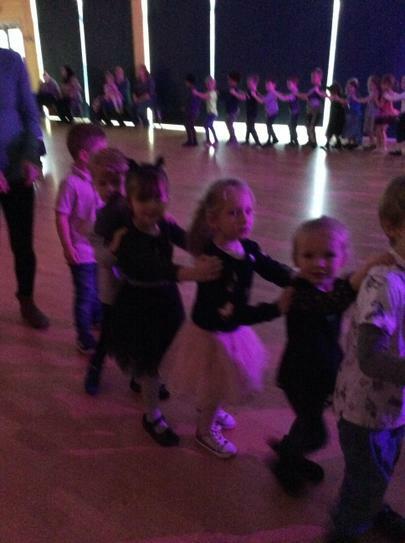 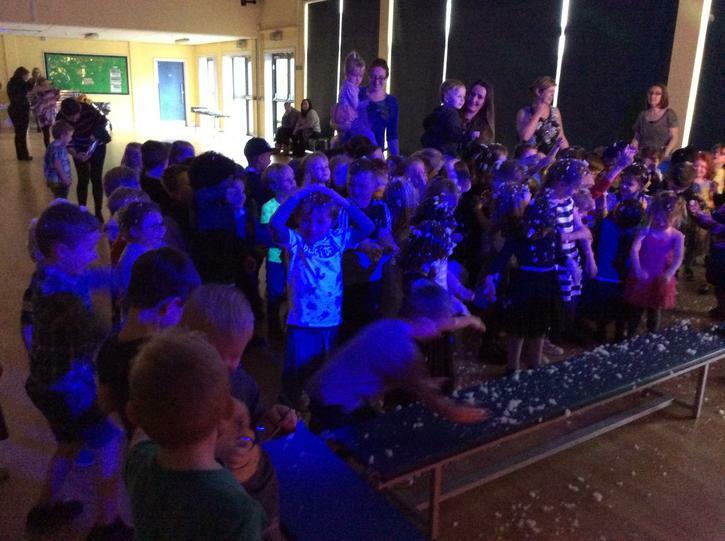 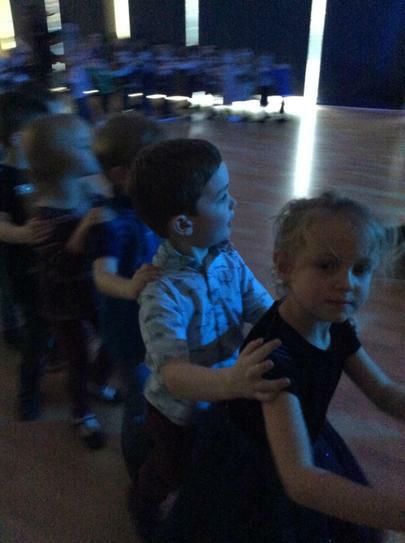 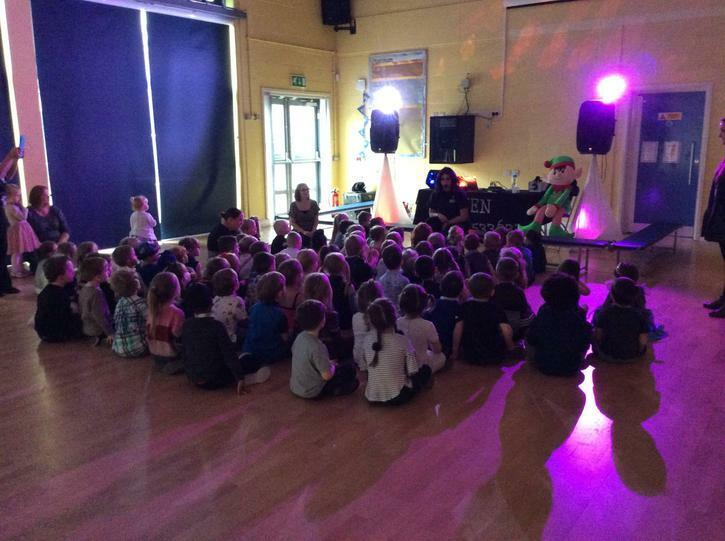 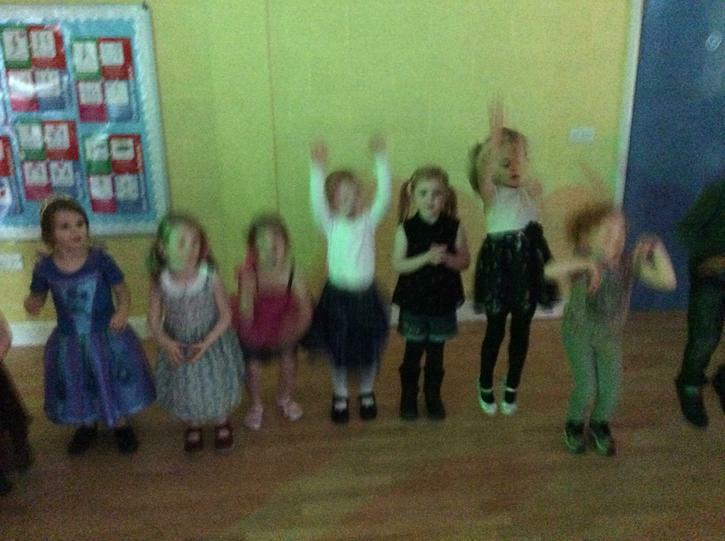 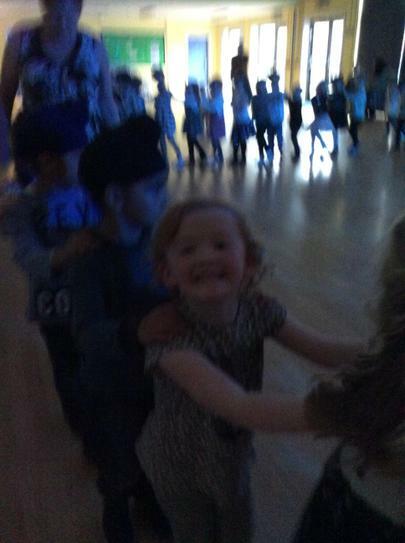 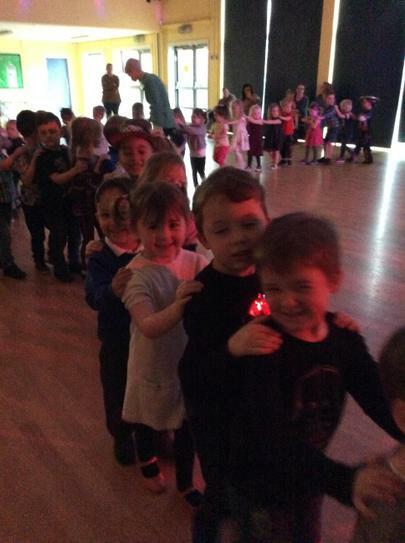 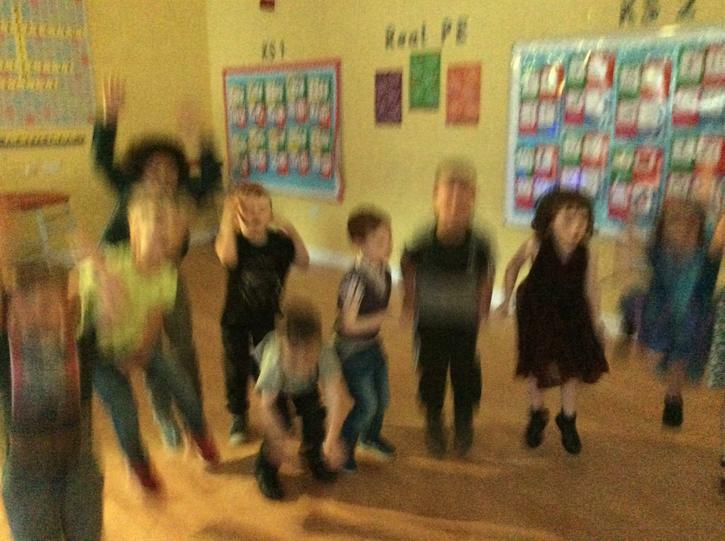 Look how much fun we had at the disco. 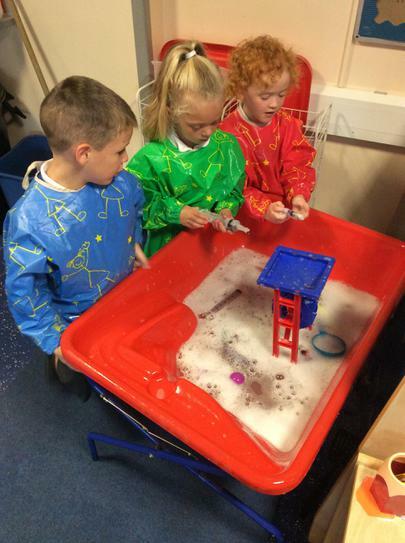 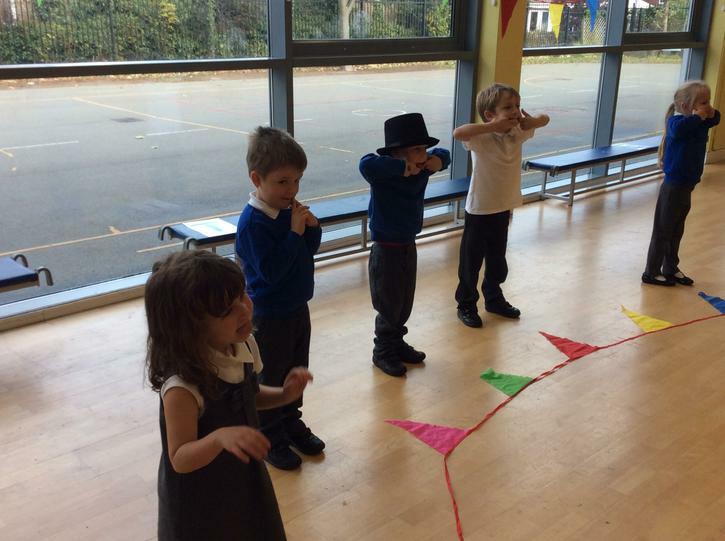 Dressing in our best clothes, dancing and playing games with our friends. 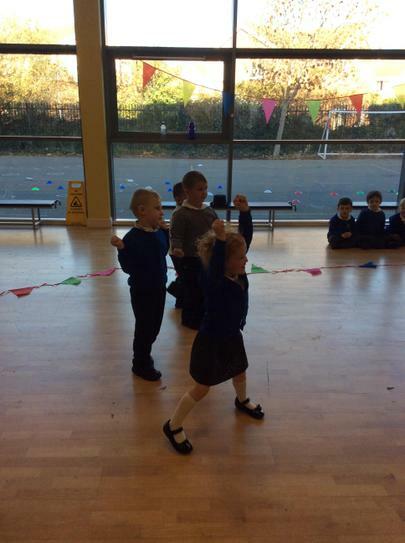 Not forgetting dancing in the snow. 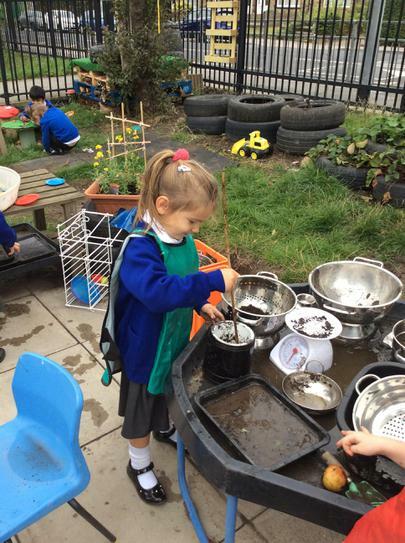 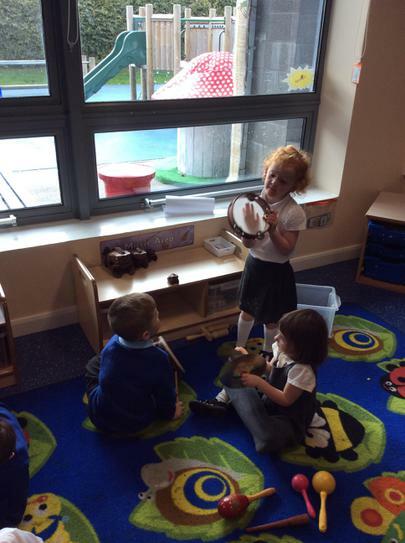 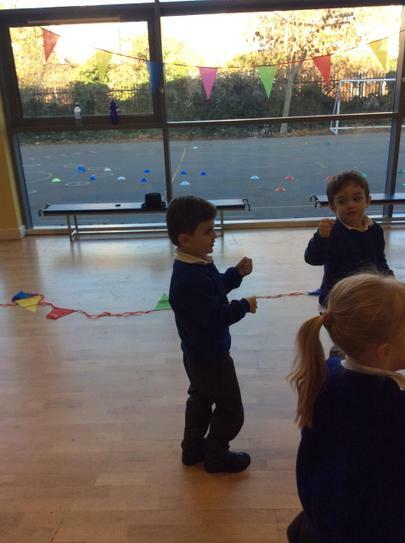 This week we have been discussing the different fireworks we have seen. 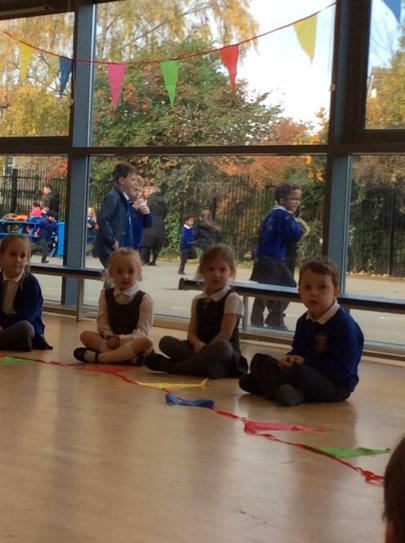 Some children went to firework displays whilst others watched from their bedroom windows. 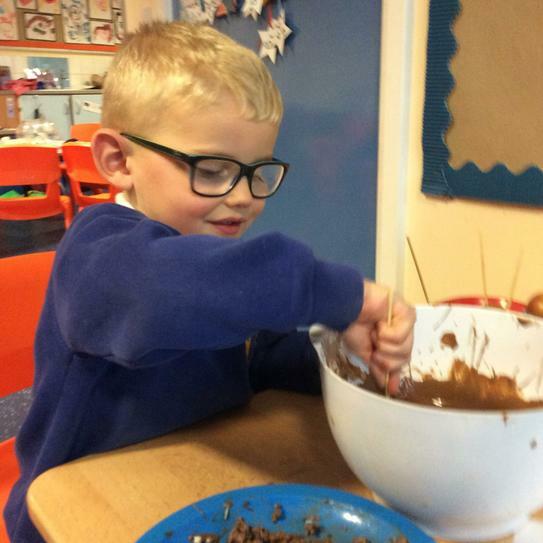 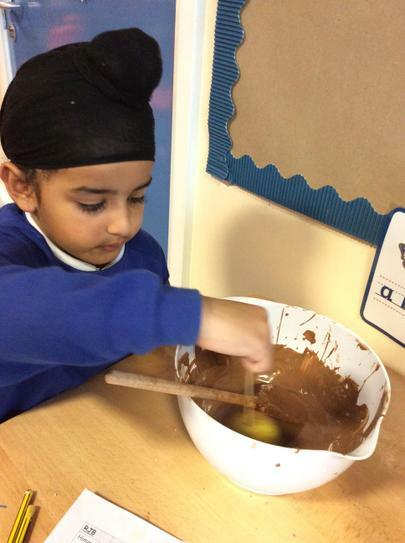 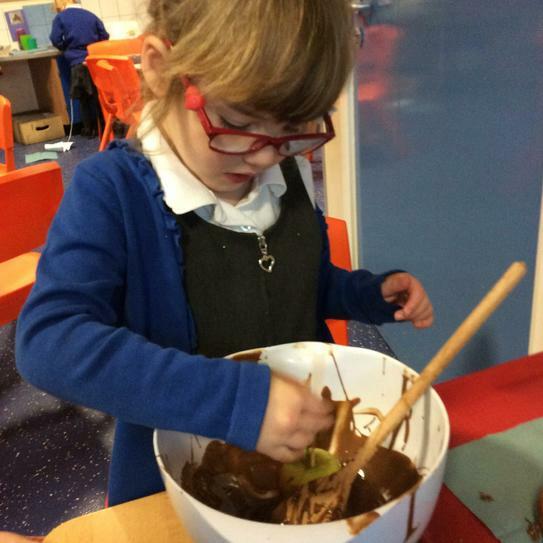 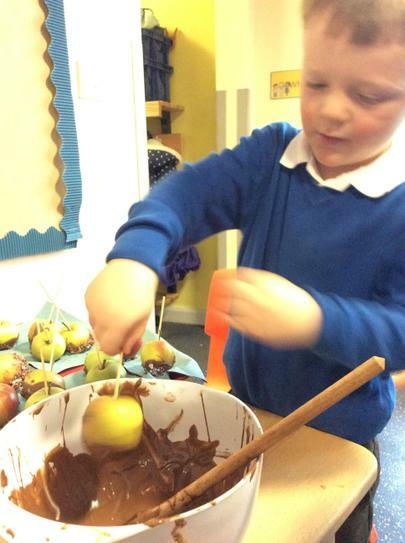 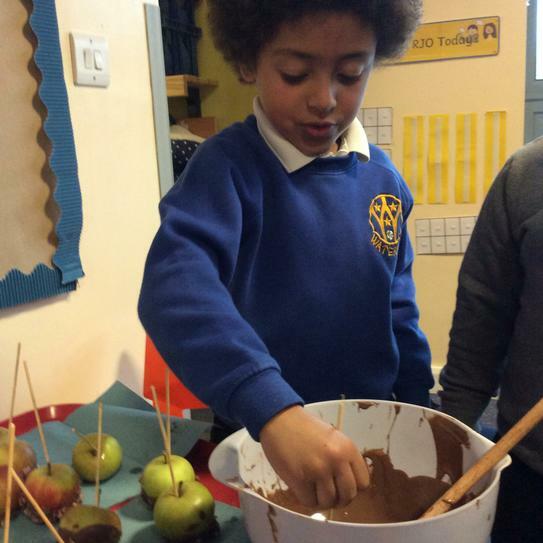 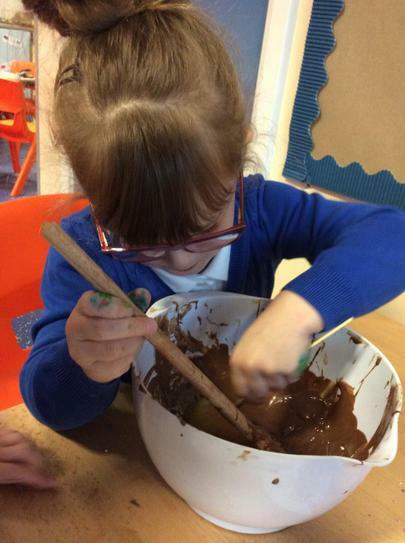 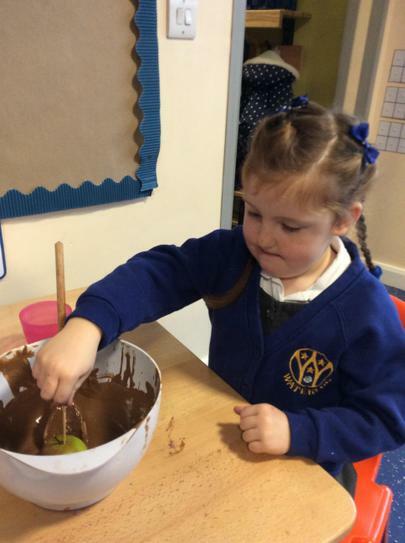 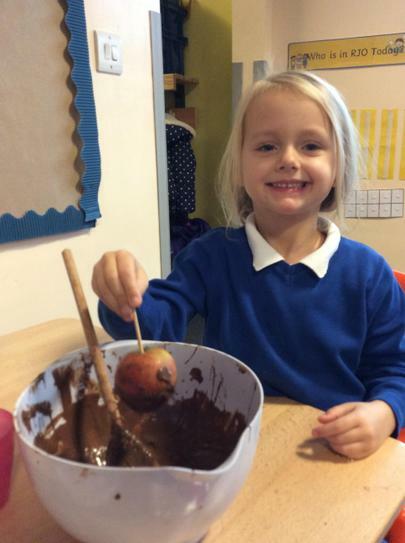 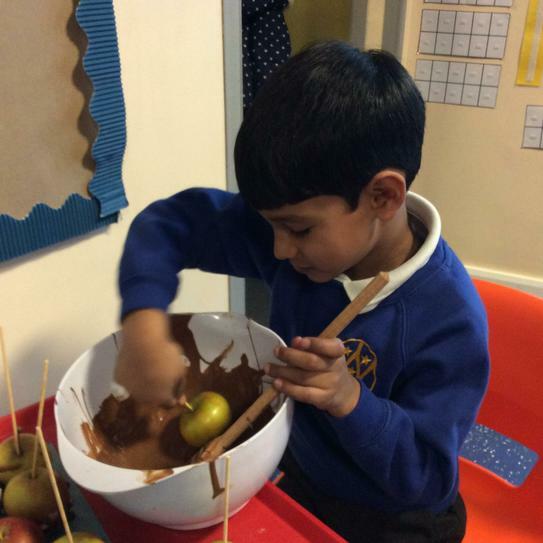 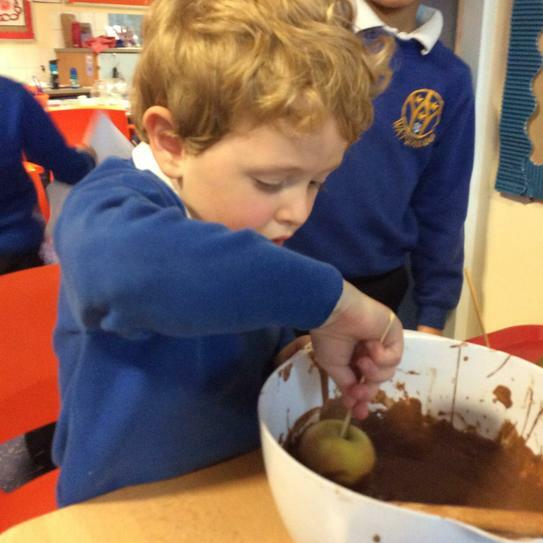 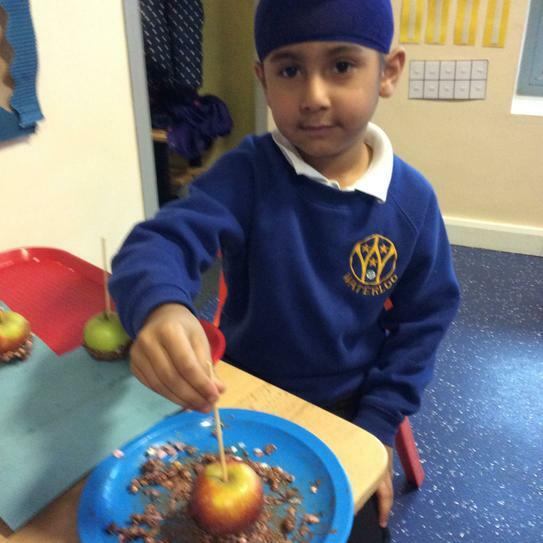 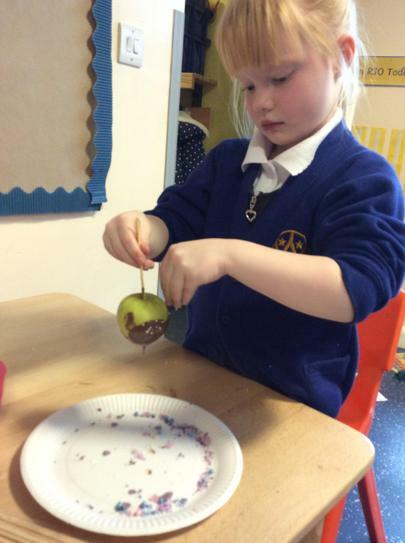 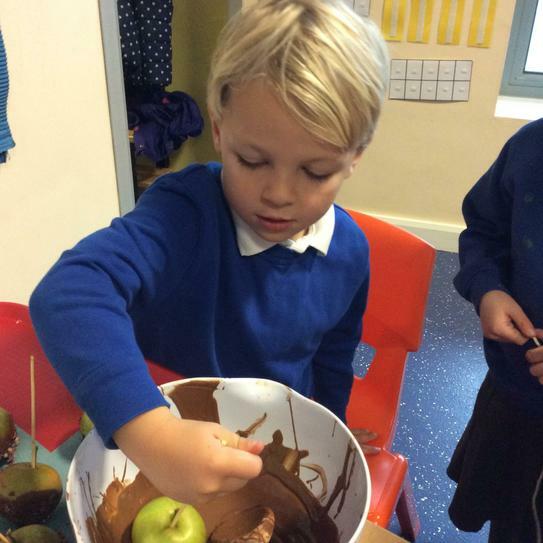 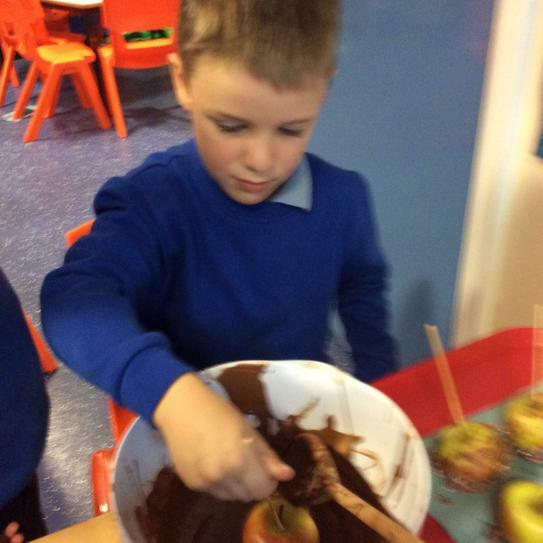 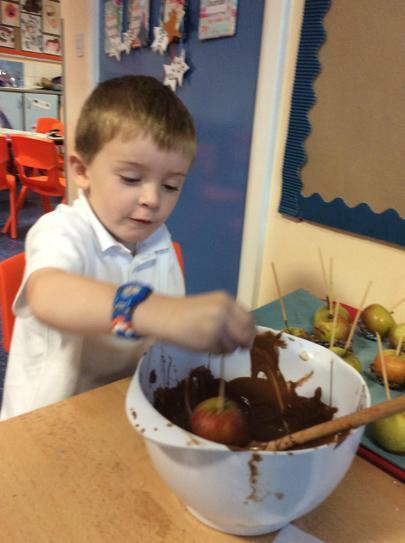 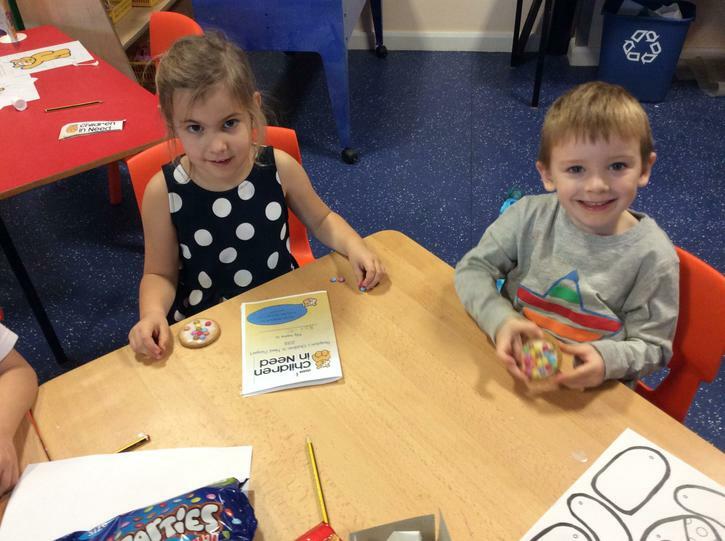 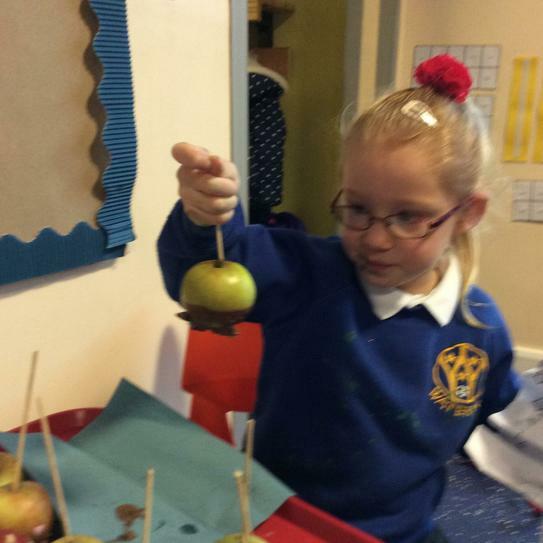 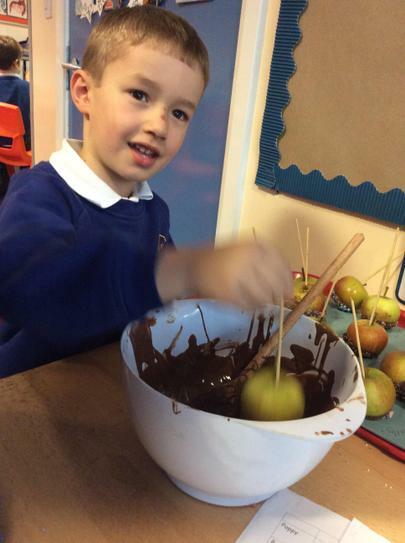 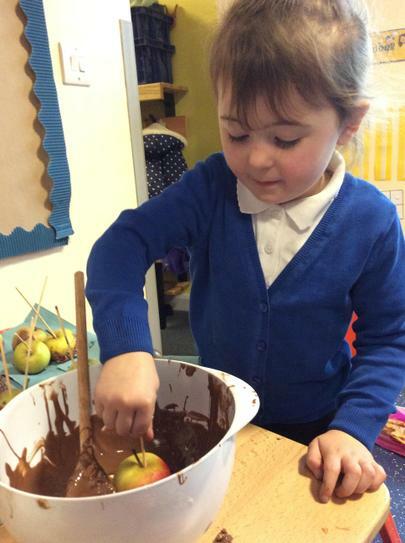 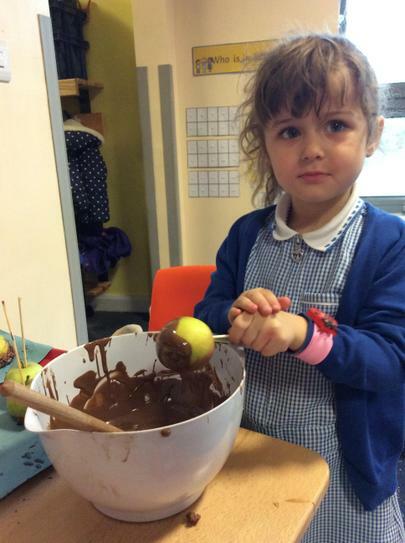 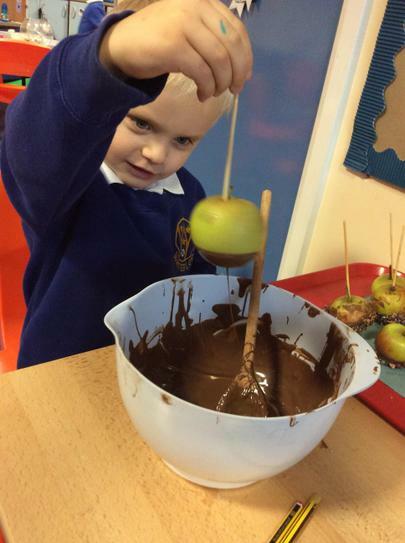 We learnt about the different firework safety rules and also made our own chocolate apples. 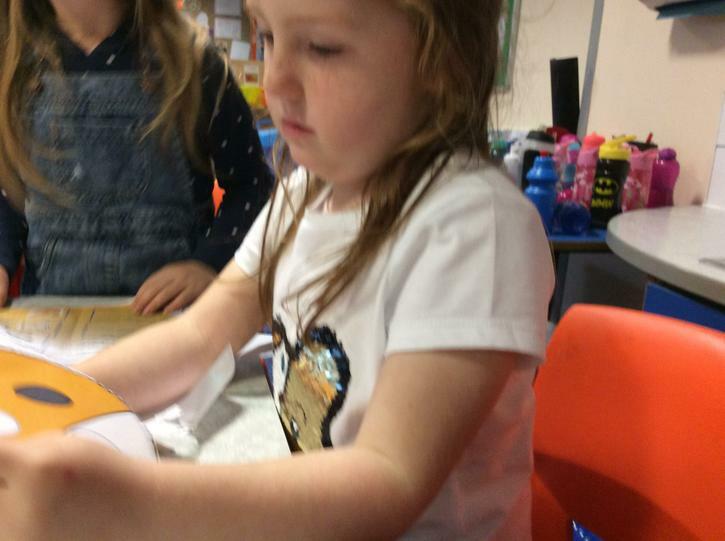 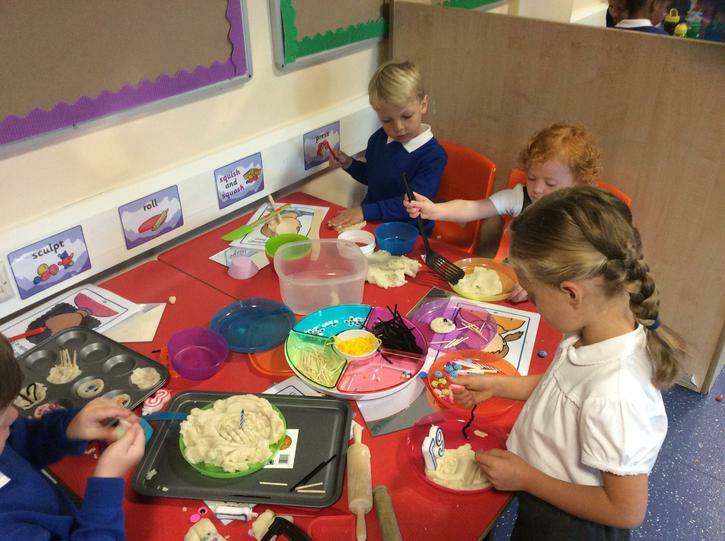 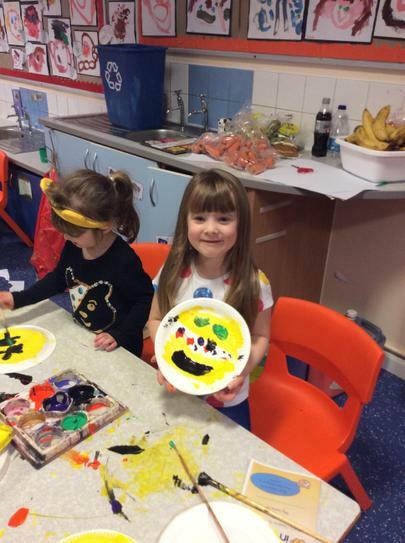 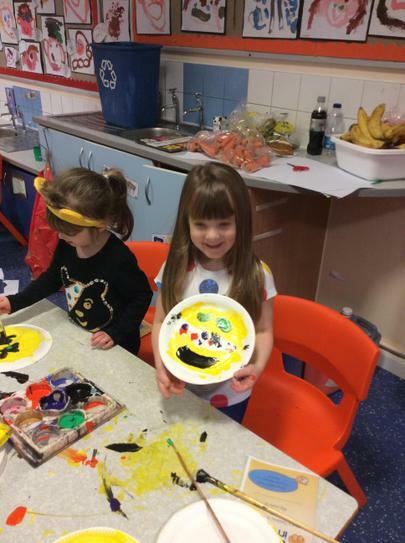 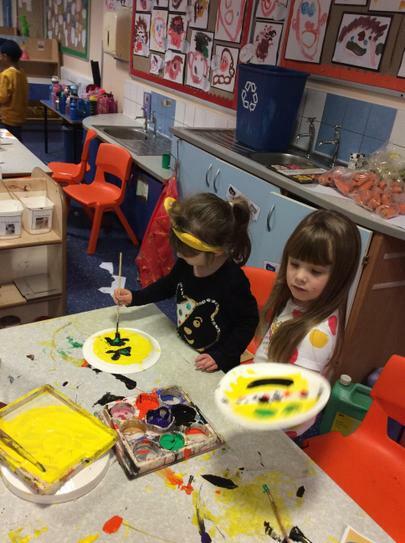 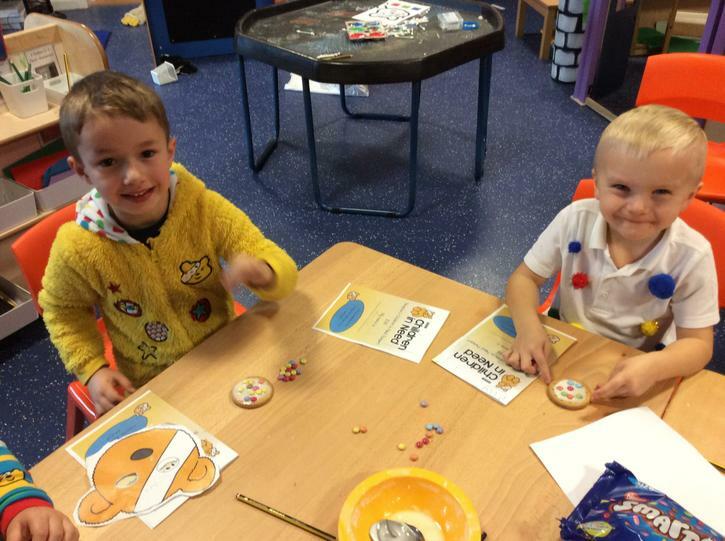 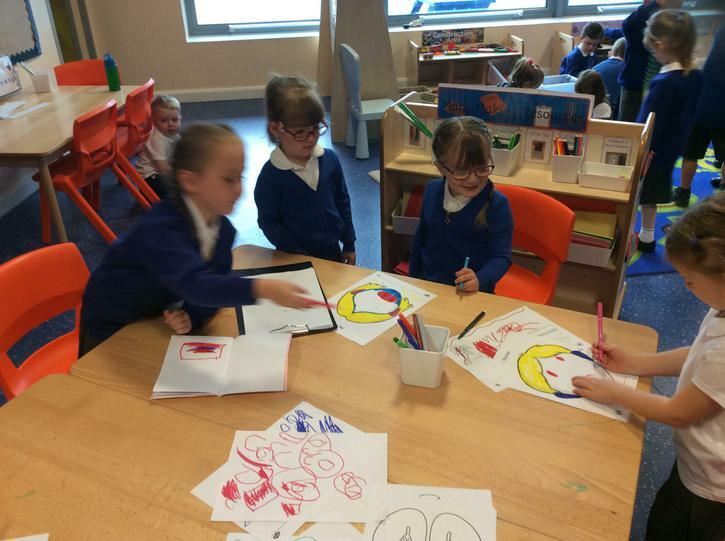 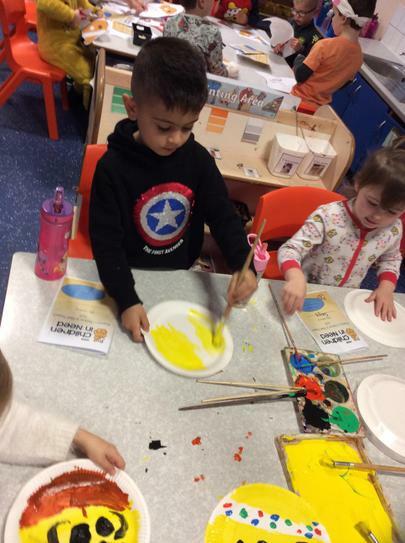 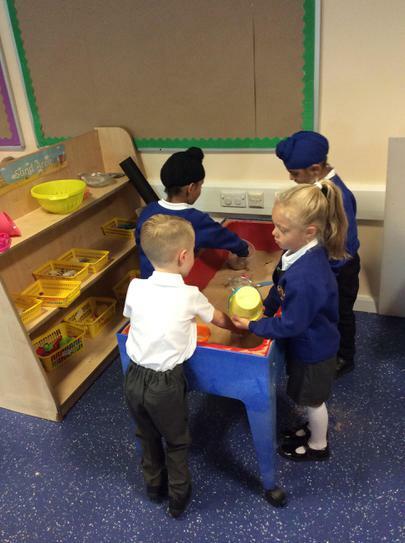 The children have really enjoyed making firework pictures using different resources such as paints, glitter, sand and chalks! 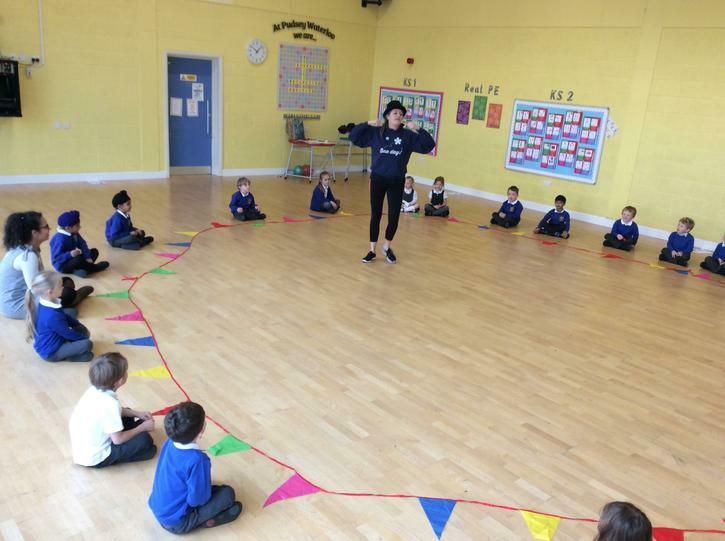 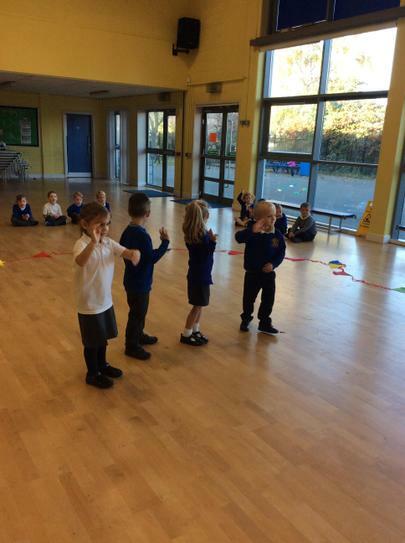 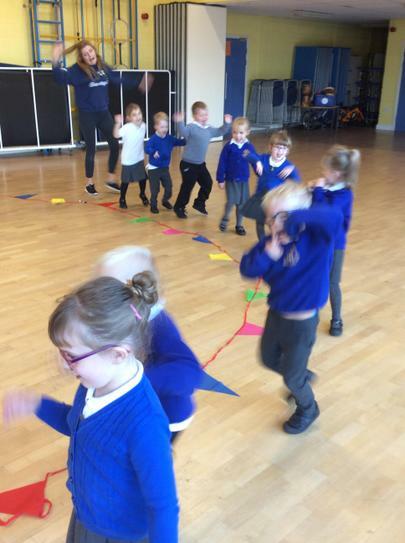 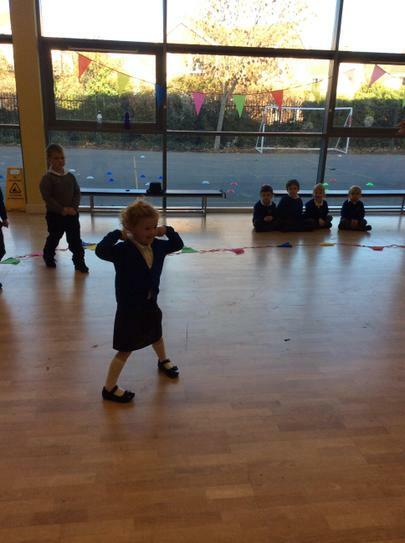 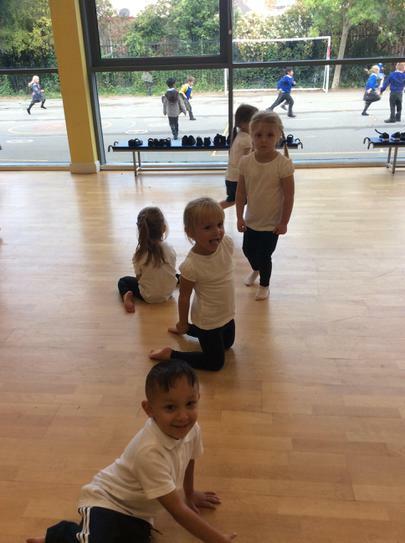 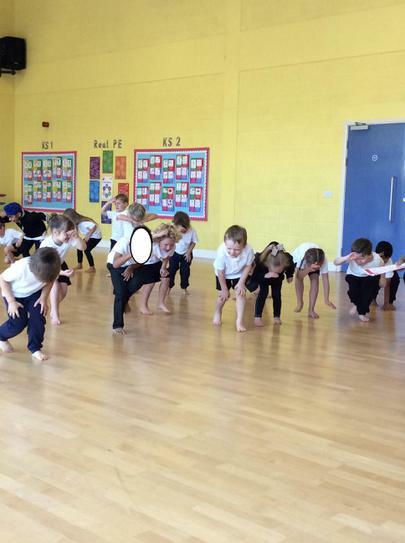 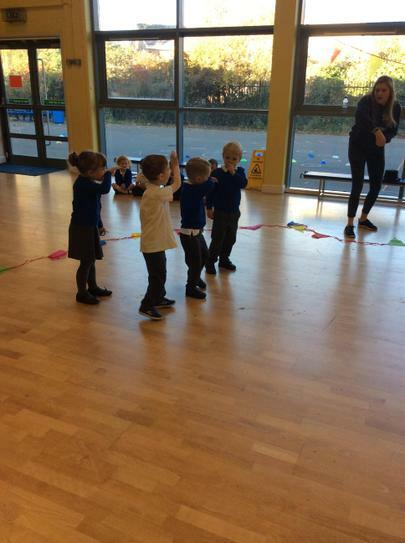 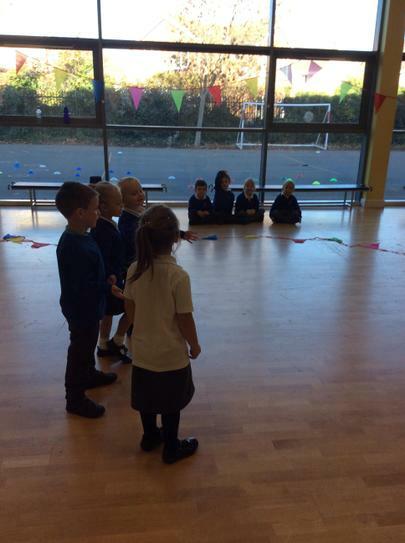 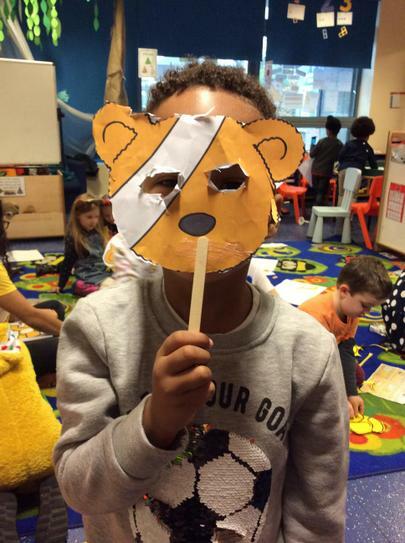 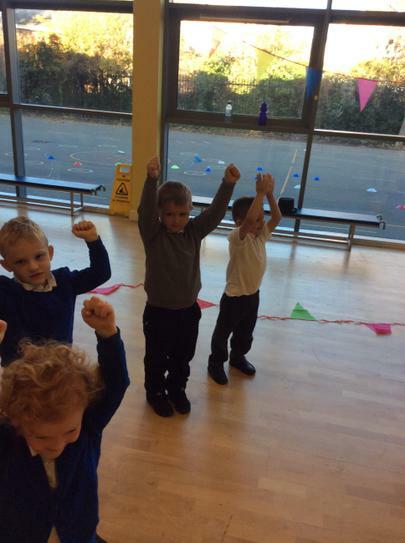 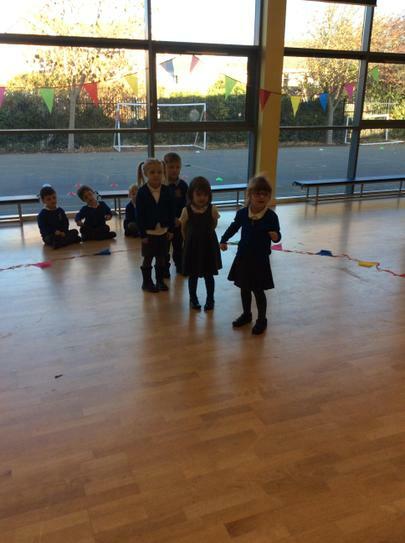 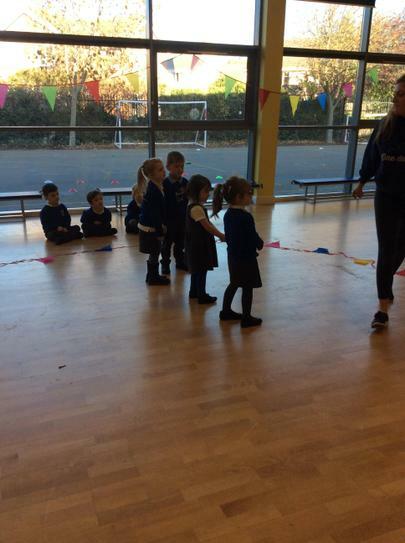 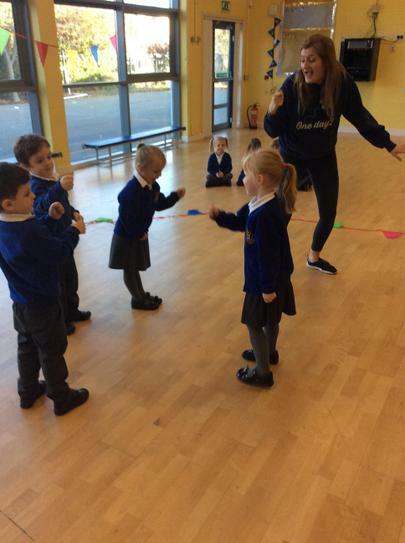 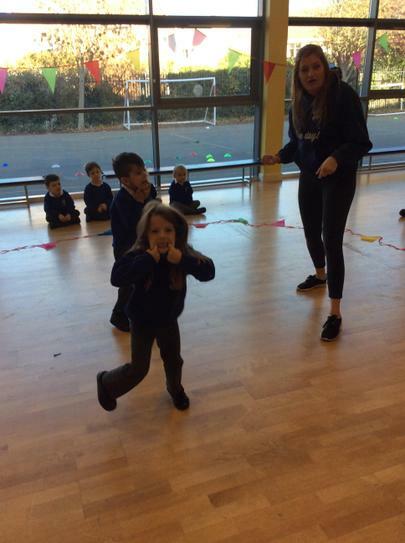 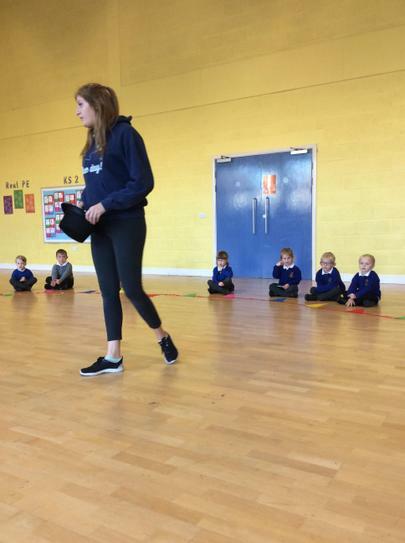 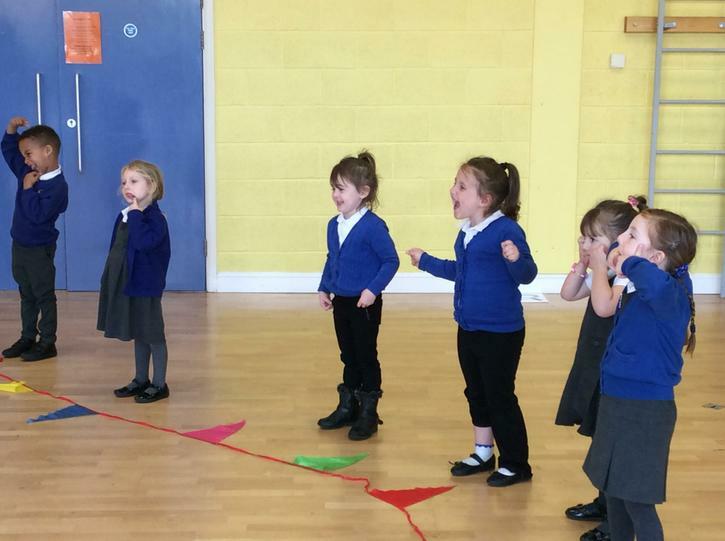 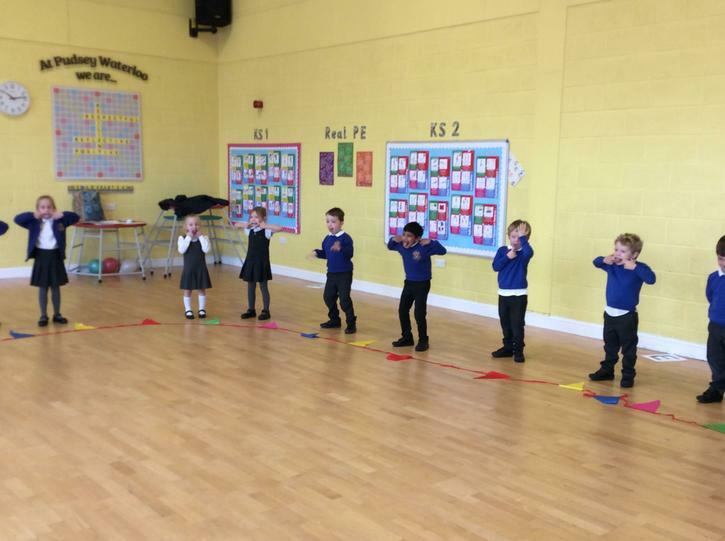 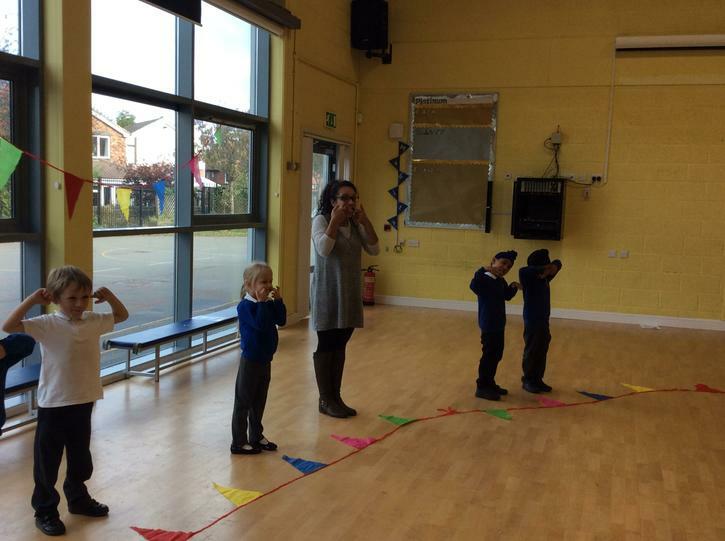 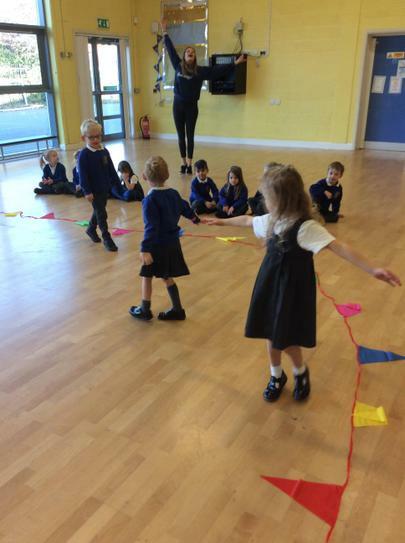 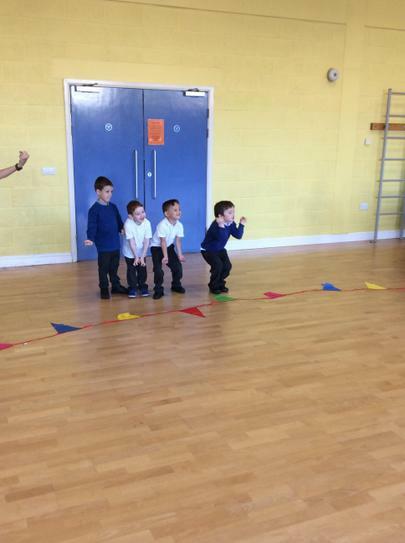 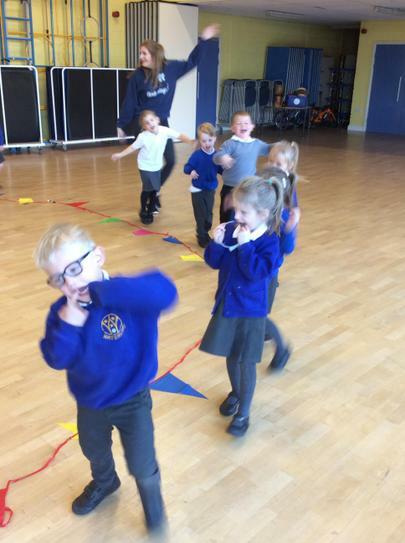 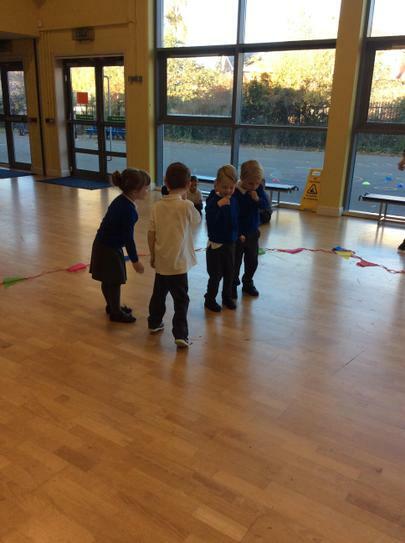 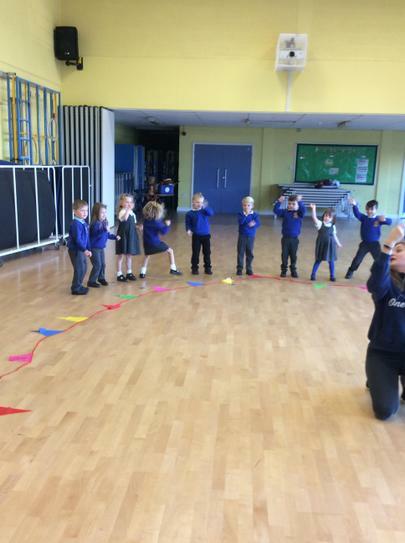 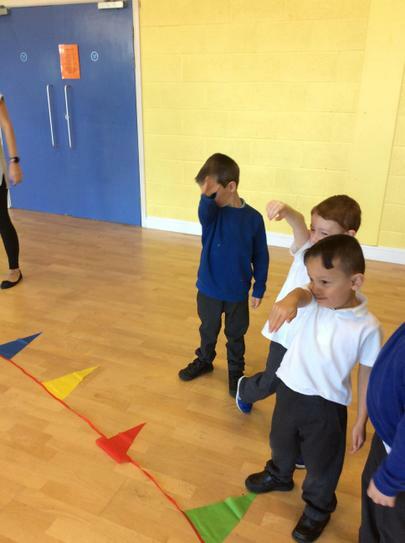 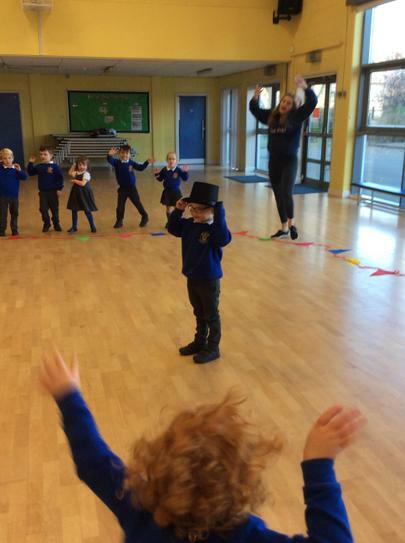 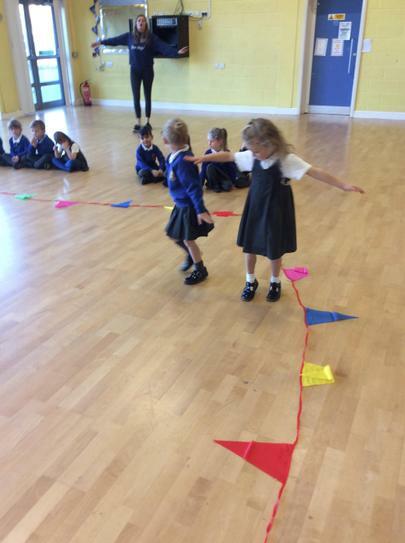 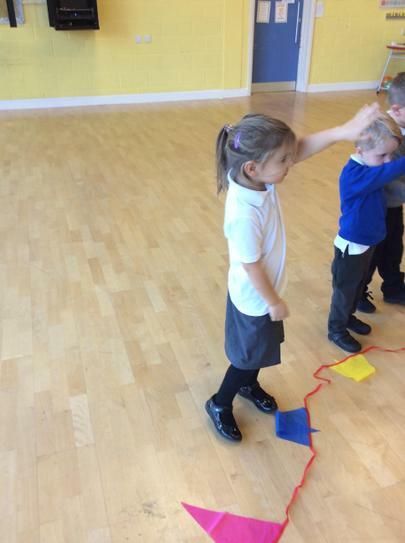 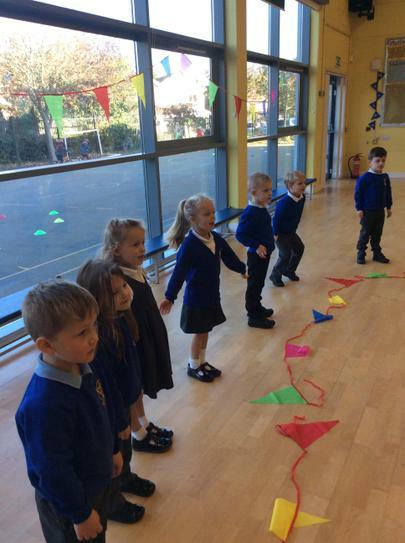 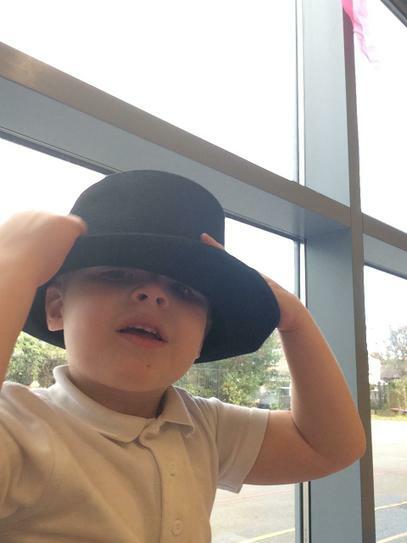 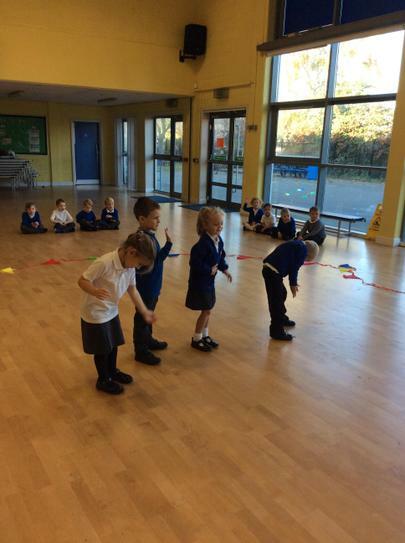 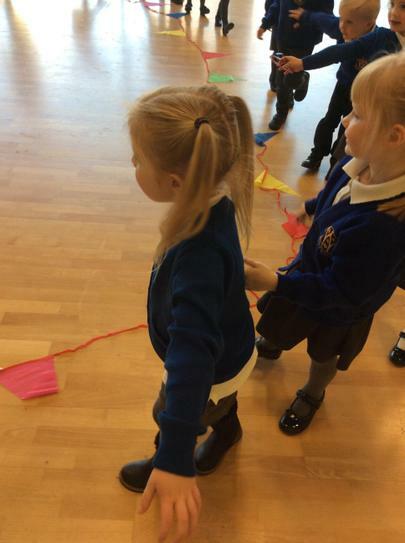 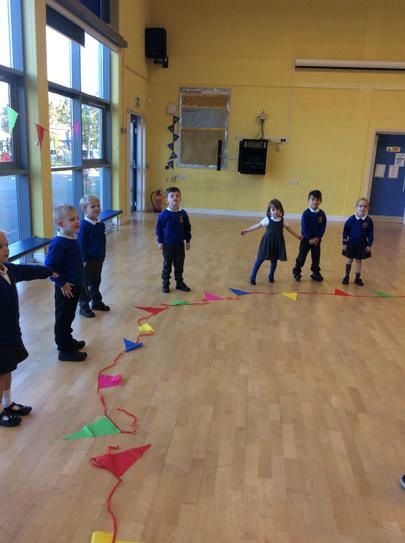 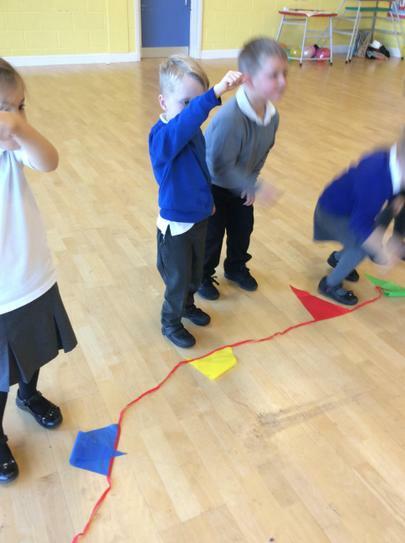 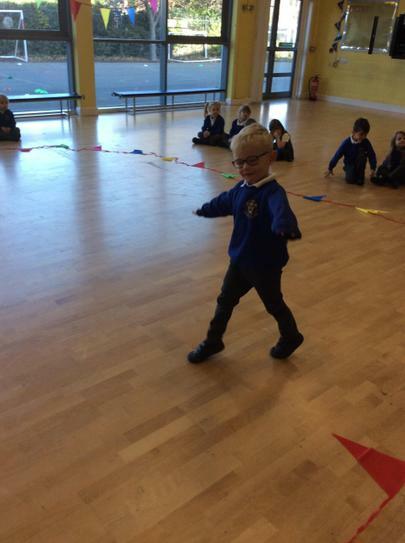 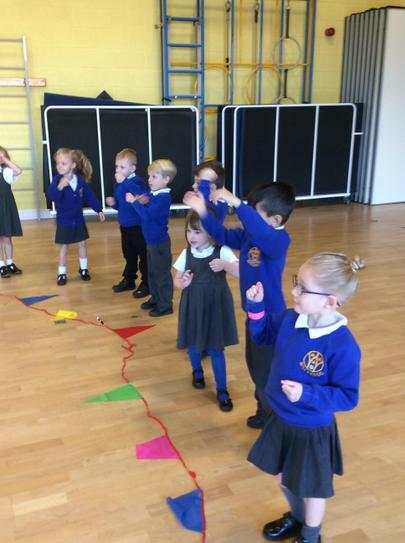 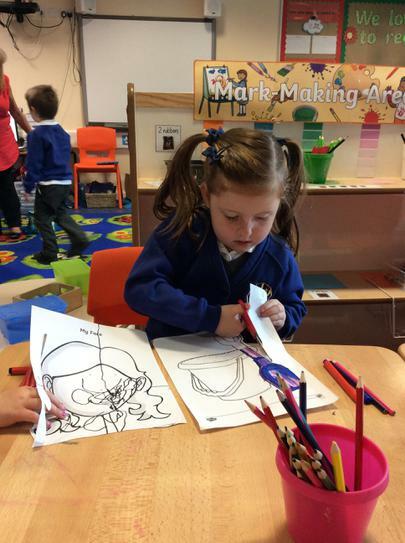 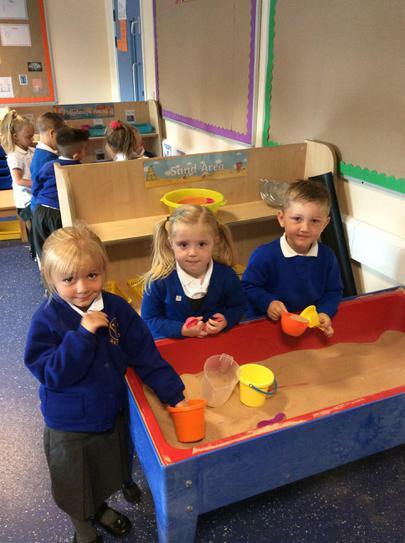 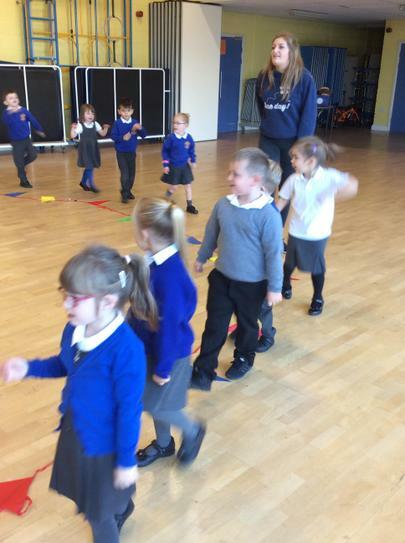 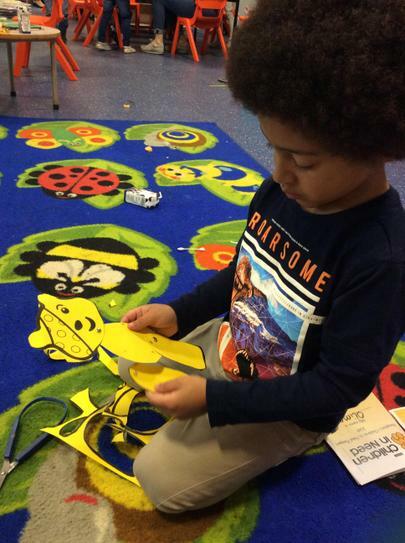 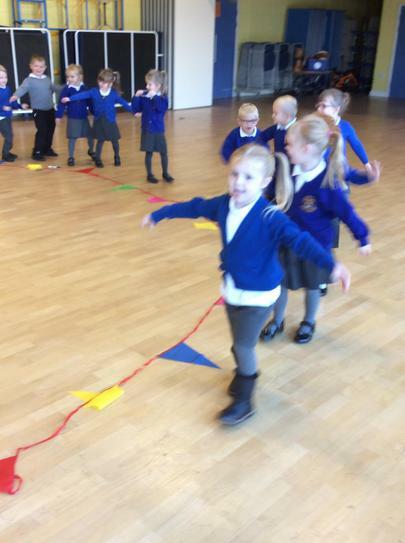 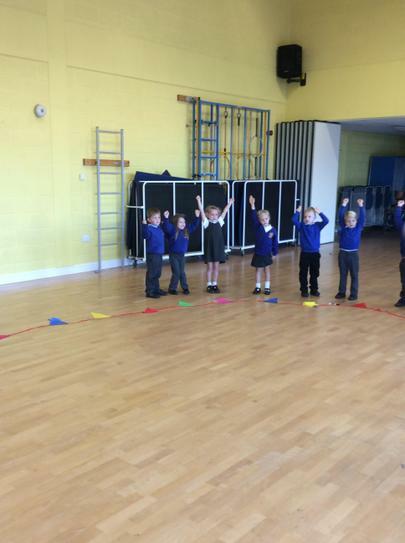 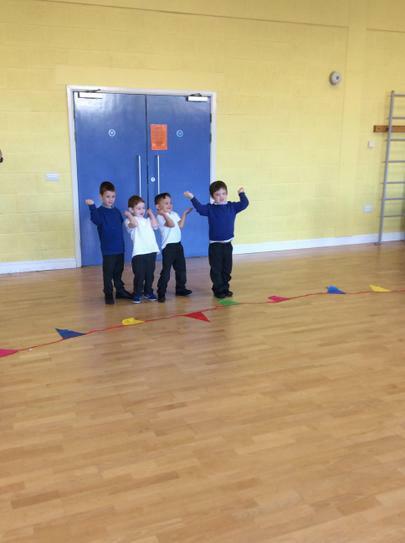 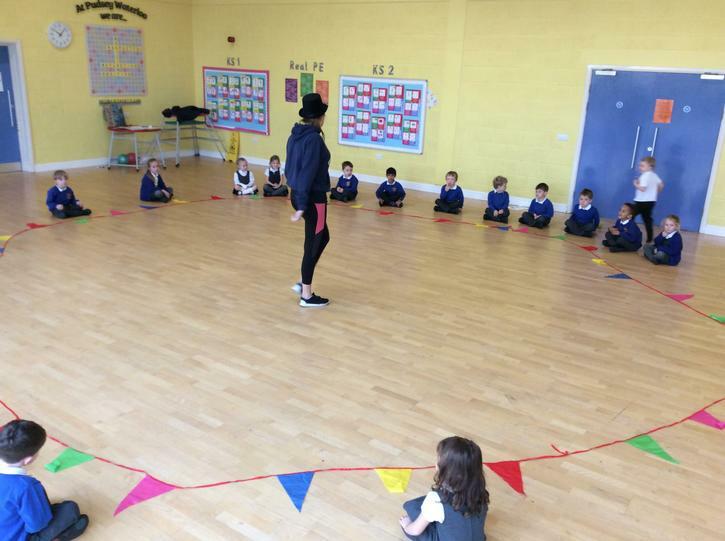 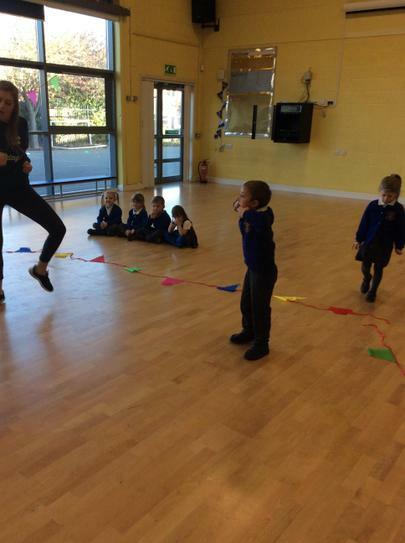 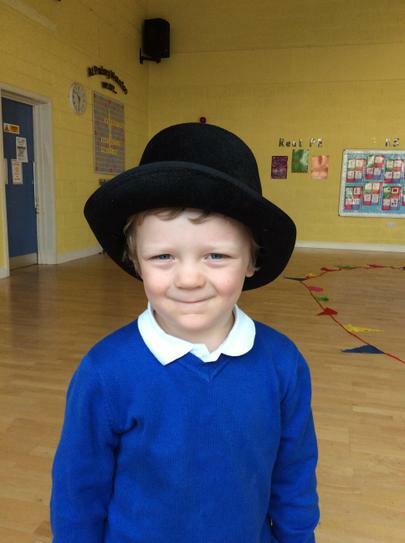 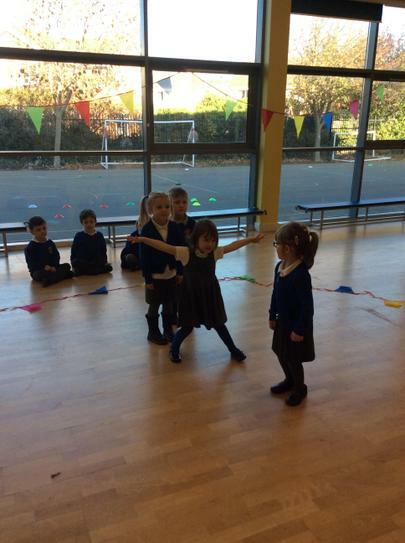 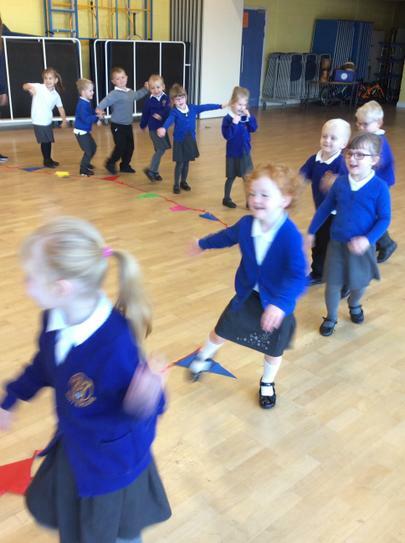 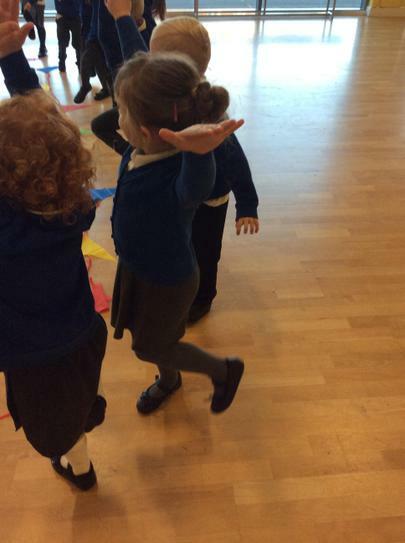 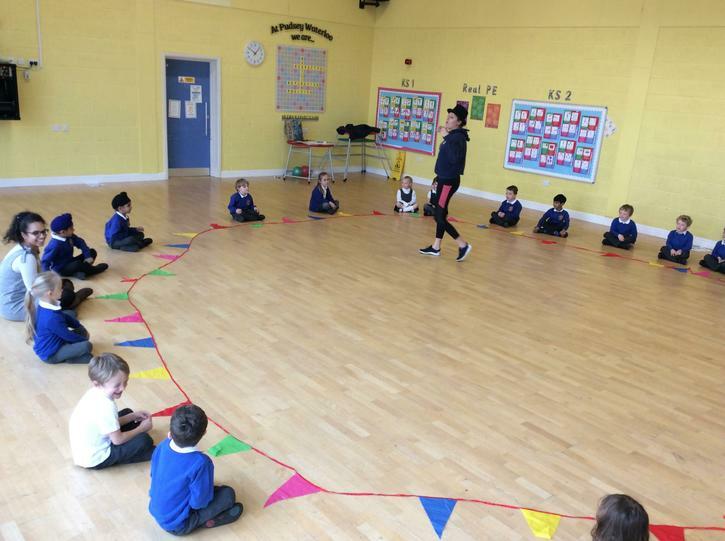 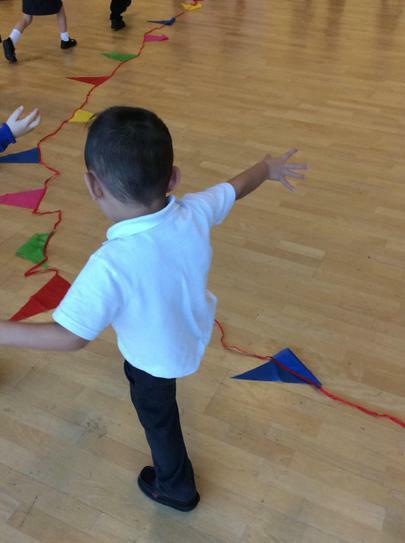 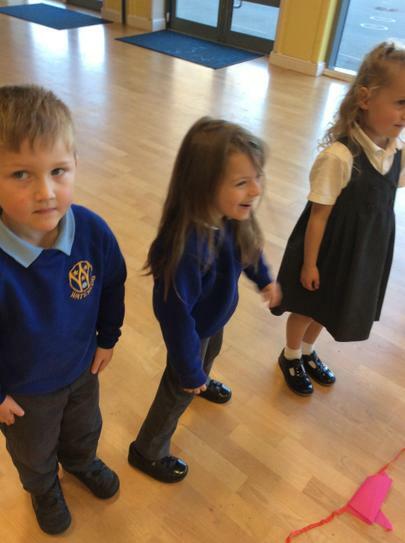 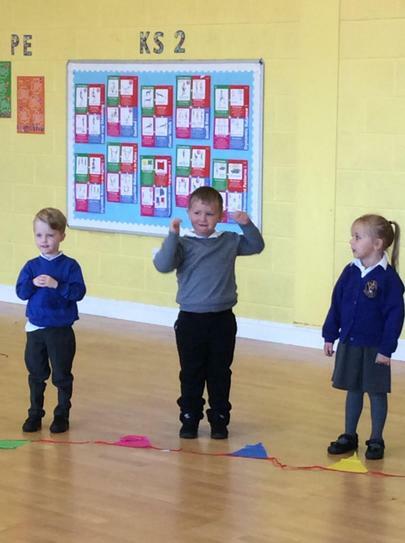 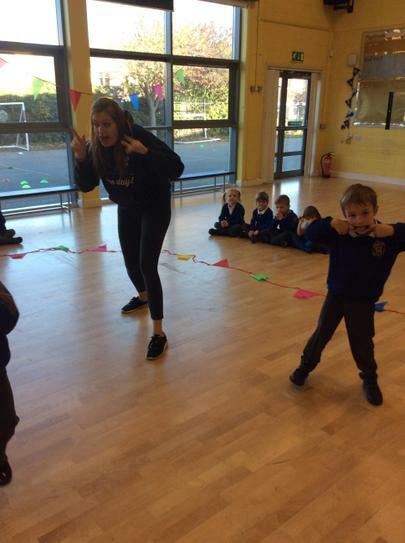 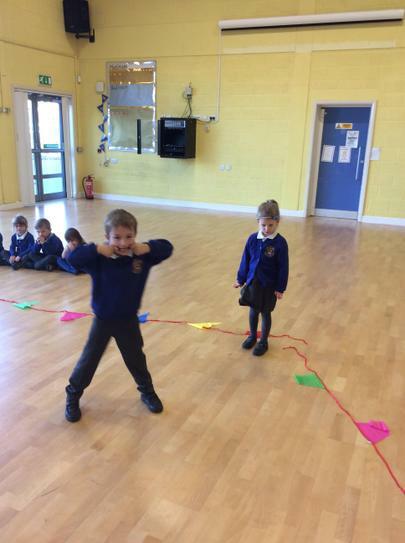 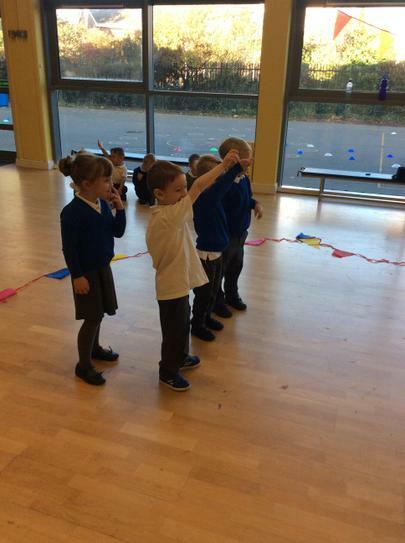 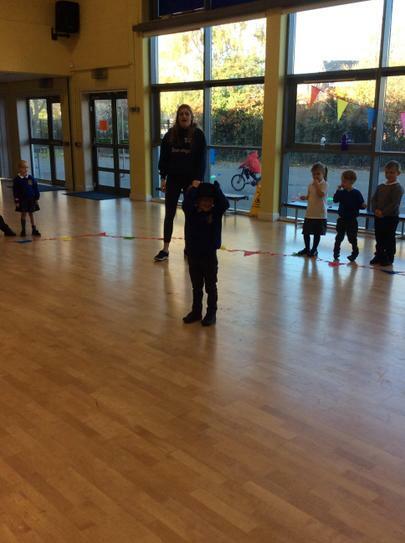 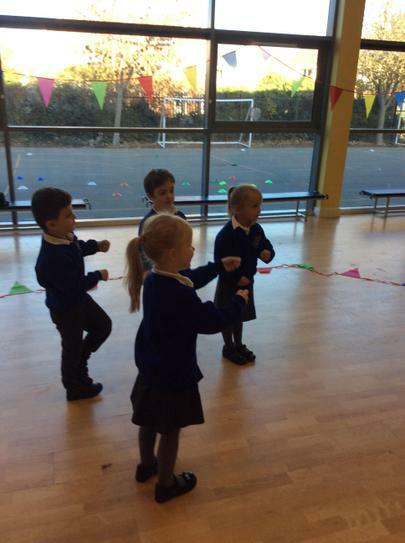 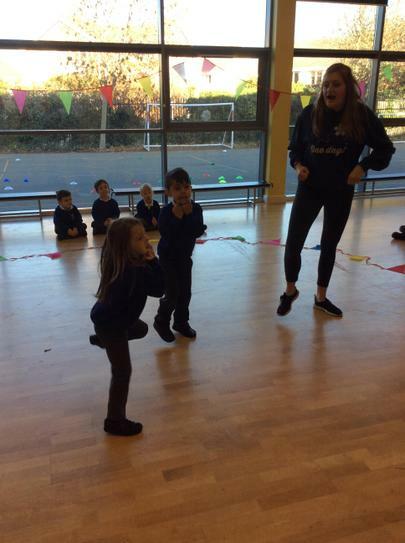 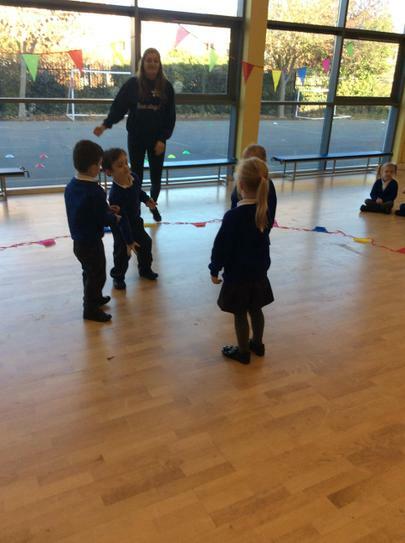 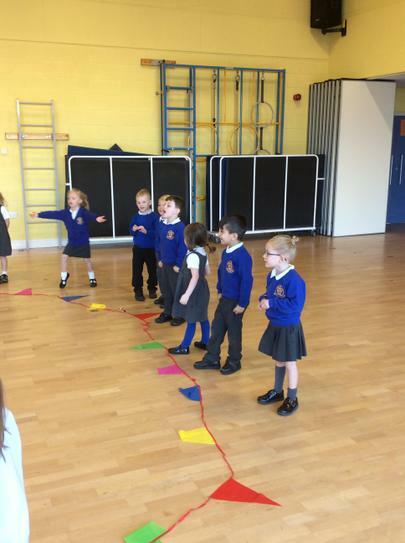 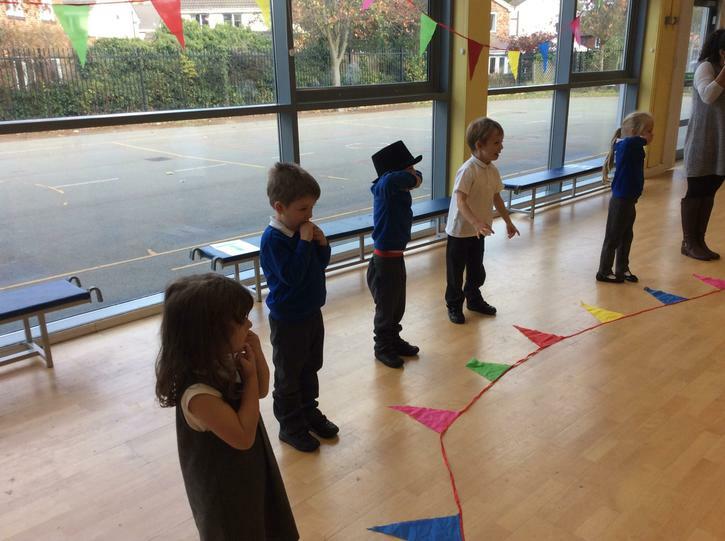 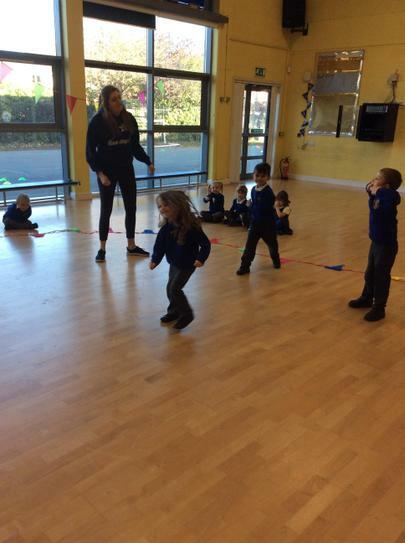 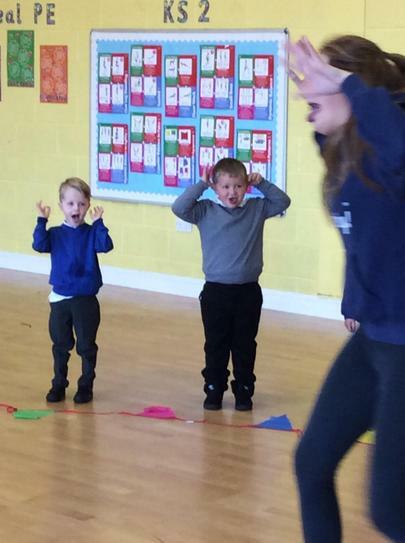 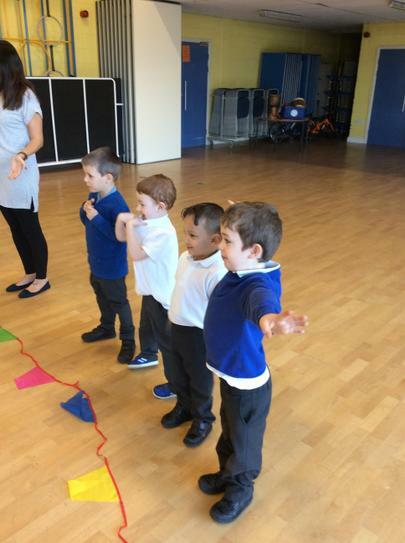 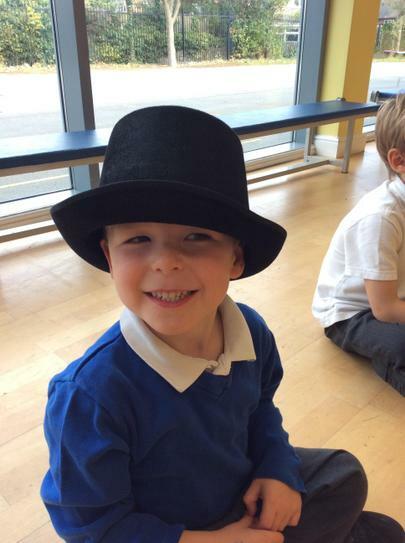 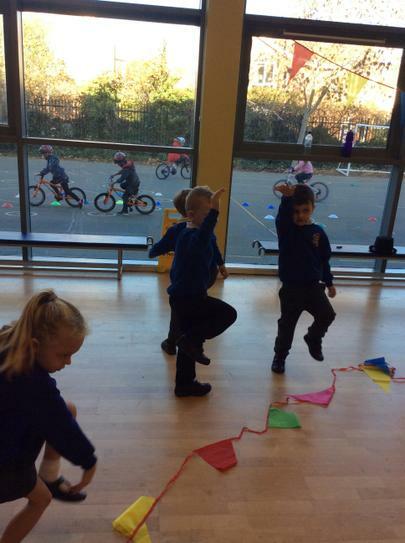 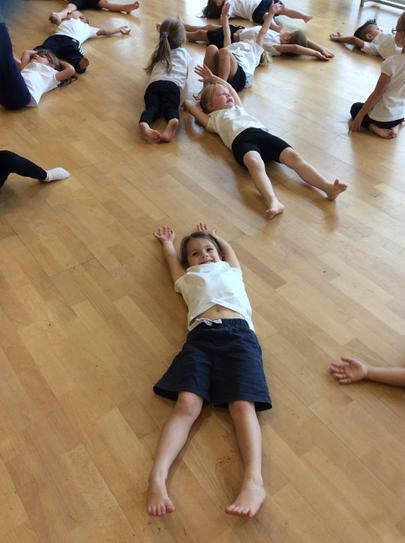 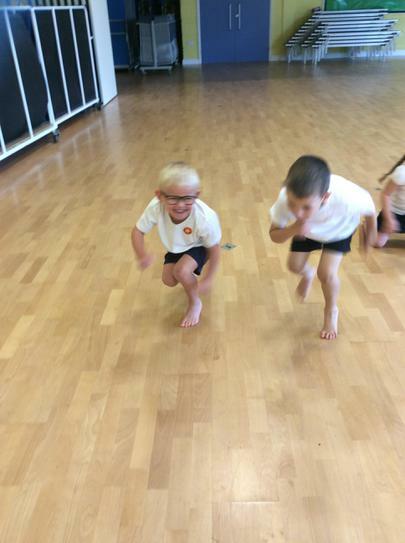 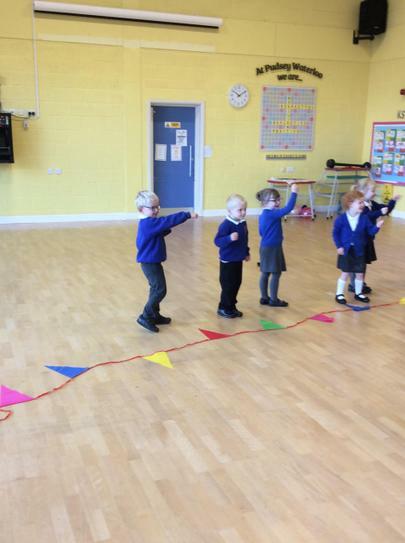 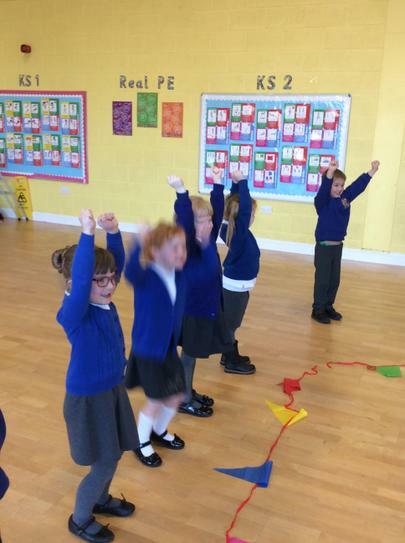 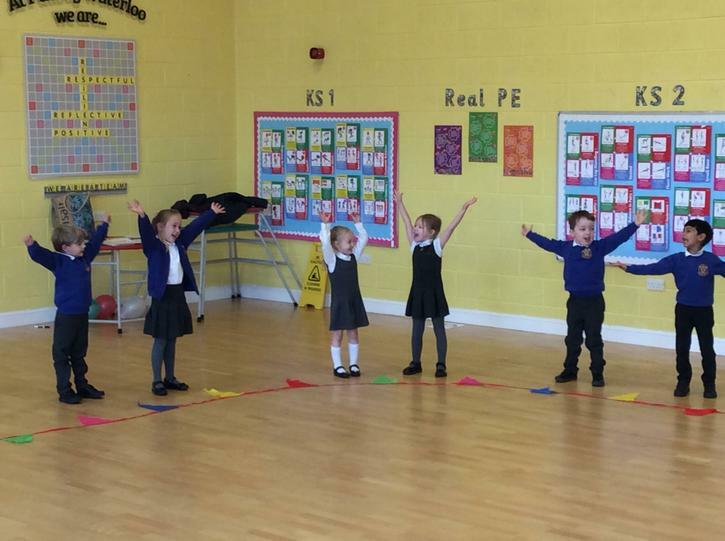 As part of the 'This Is Me' themed week the children took part in a circus workshop. 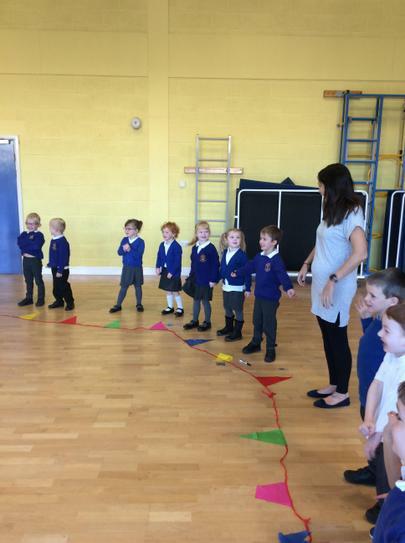 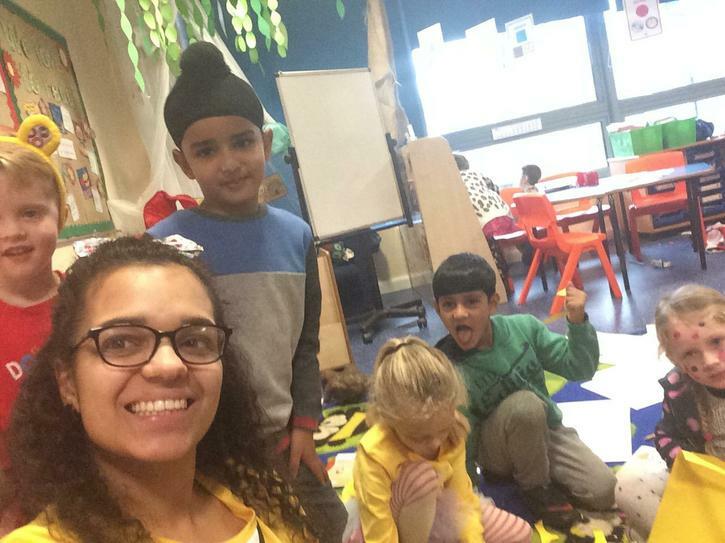 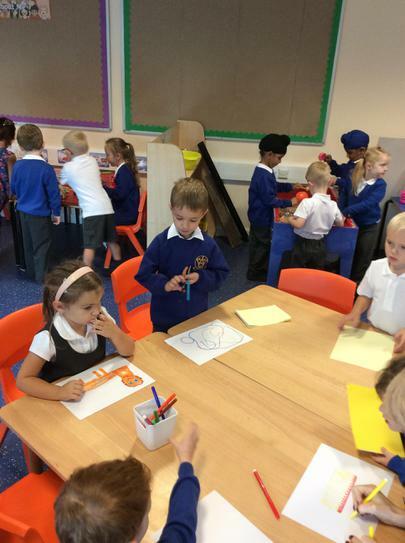 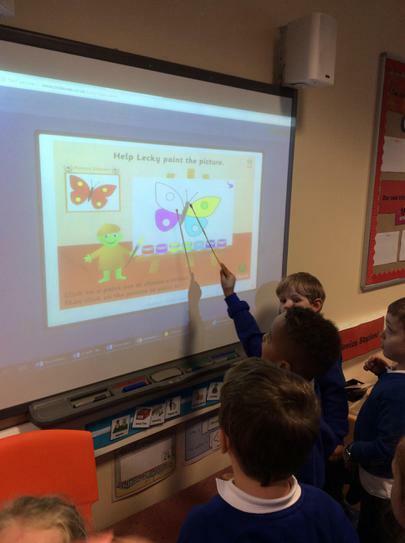 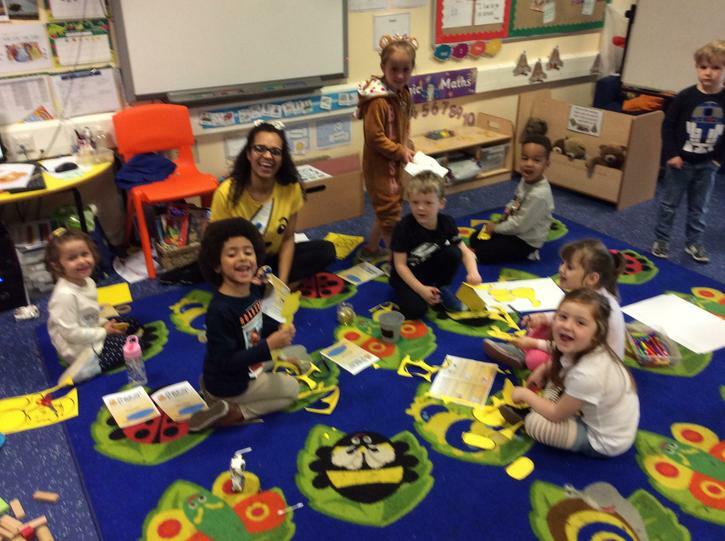 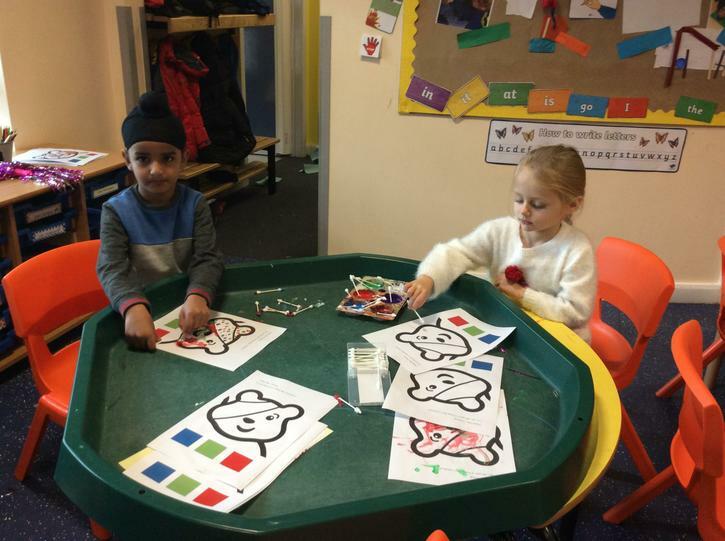 This workshop focused on teaching the children about respect and how to be a kind friend. 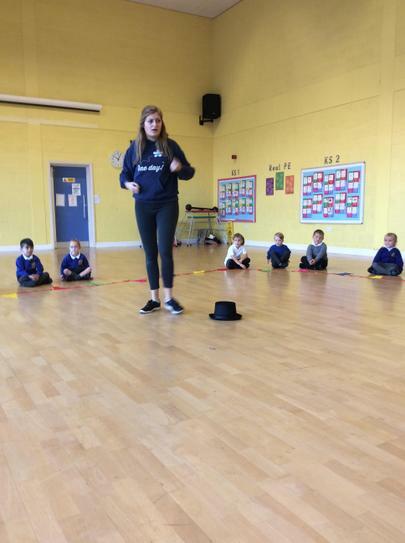 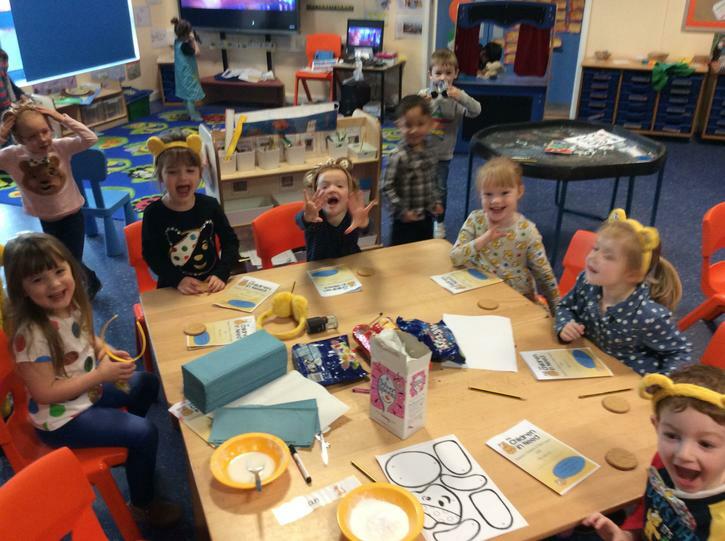 This children really enjoyed playing the parts of ring masters, strong men and women, plate spinners, elephant tamers and funny clowns. 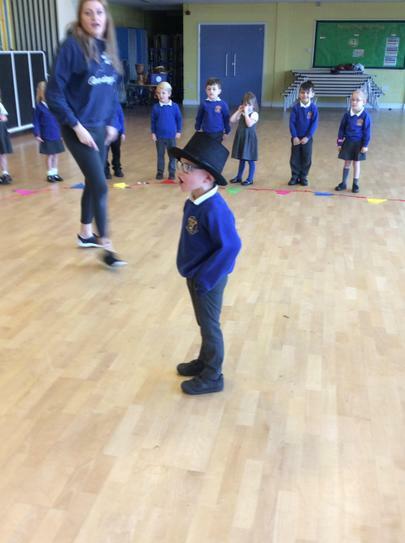 We linked this to the theme of the week by understanding that everyone has different talents and that we need to treat everyone with respect.